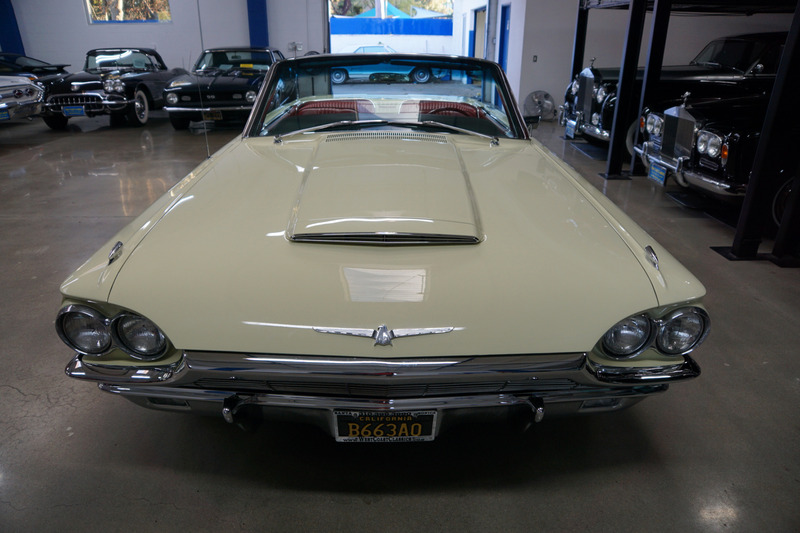 West Coast Classics are proud to present a beautifully original and great daily driving and rust free example of this original southern California West Coast 1965 Ford Thunderbird Convertible factory ordered in this original 'Pastel Yellow' factory color paint with the desirable options including the automatic dual range 3 speed transmission, Power Steering, Power front disc brakes, Power Driver & Passenger Seat, Tinted glass, Power windows, AM radio with rear speakers, Front Console, Bucket Seats, Swing-Away-Steering Wheel, Heater & Defroster, seat belts, full instrumentation, sequential turn signals, White sidewall tires full carpeting and it's original 'Z' code 390/315HP 4 Barrel V8 engine and the unique trunk stored power convertible top with 50K original miles! 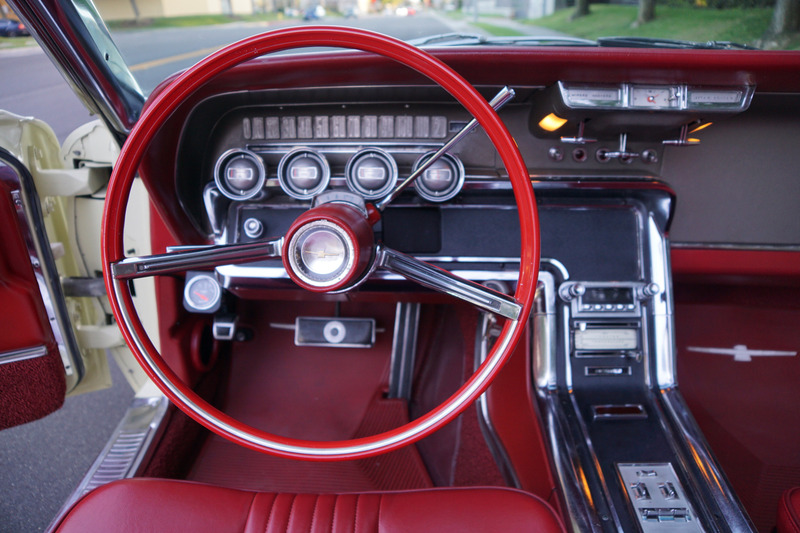 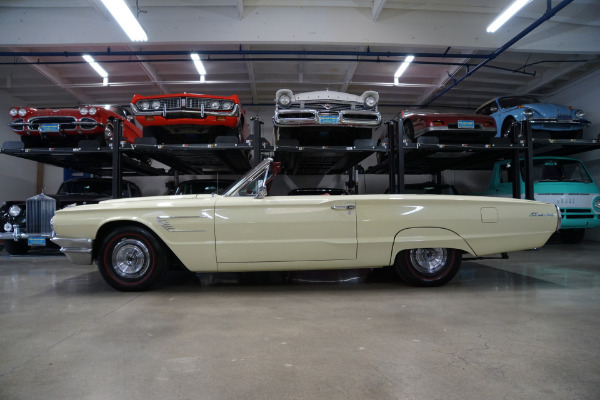 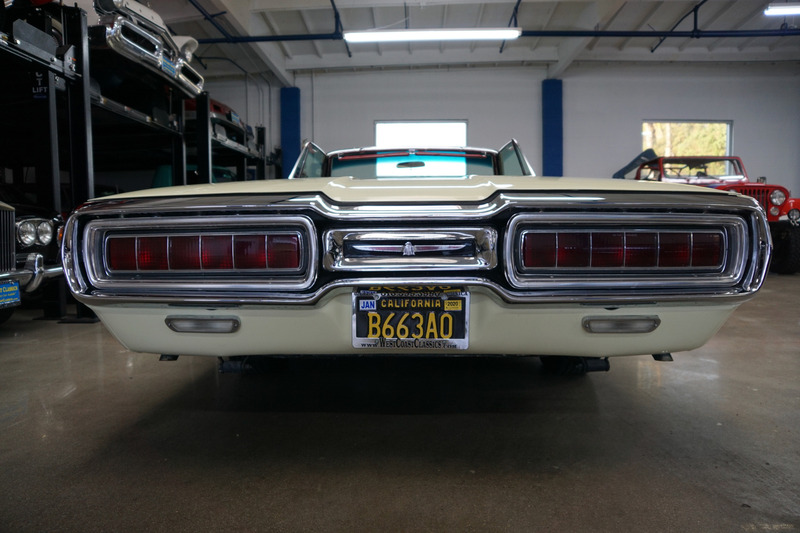 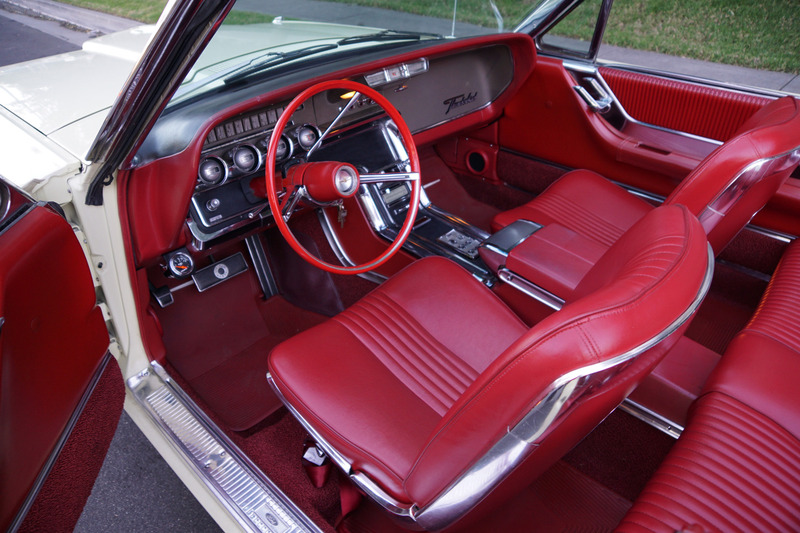 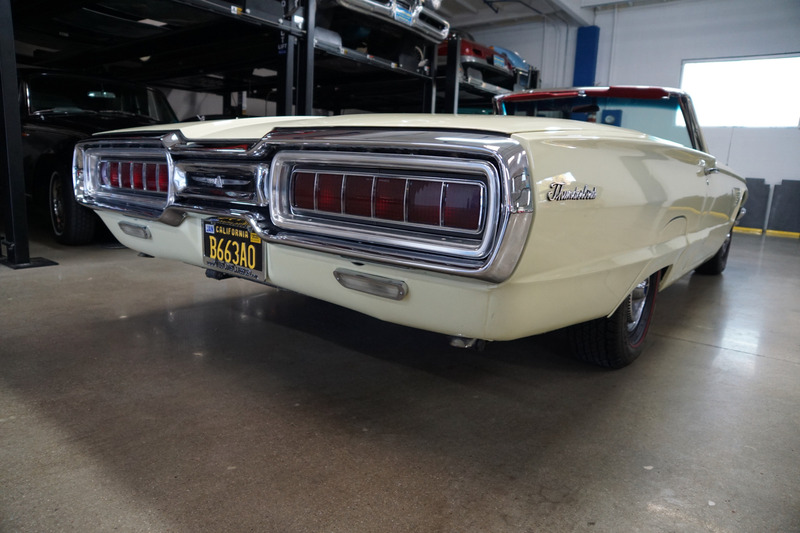 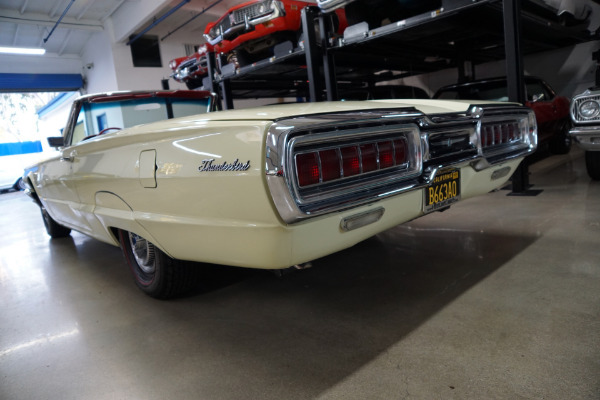 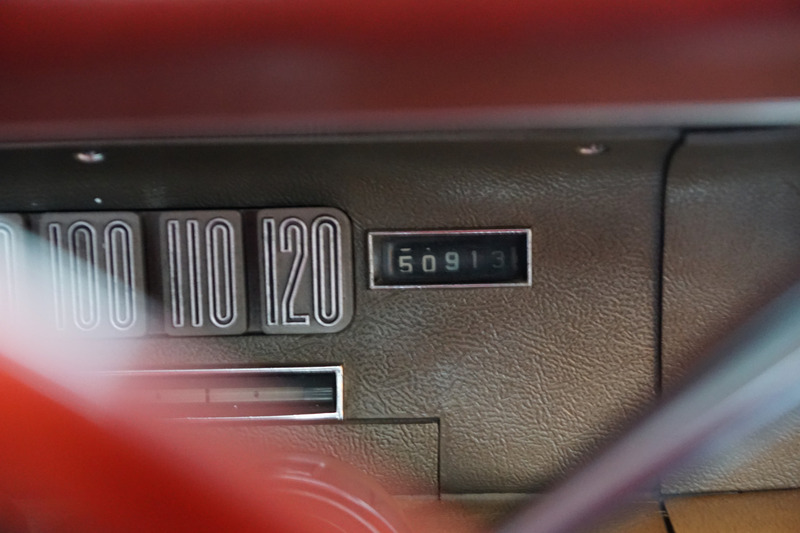 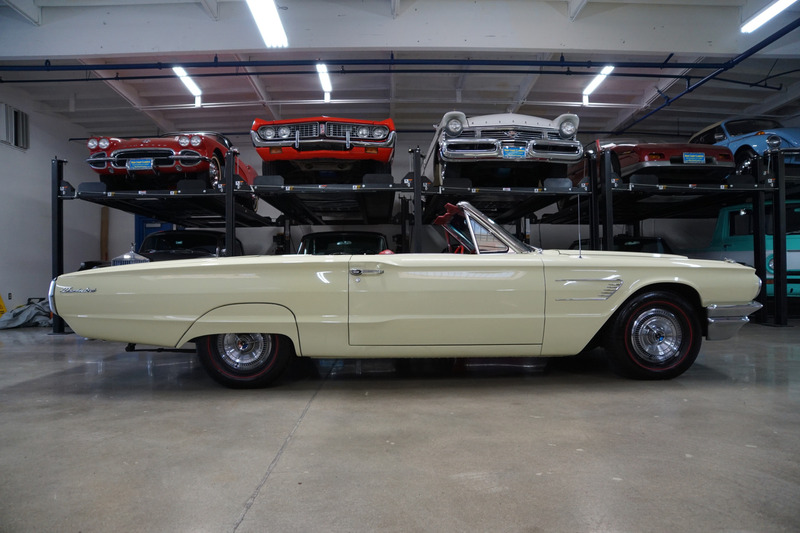 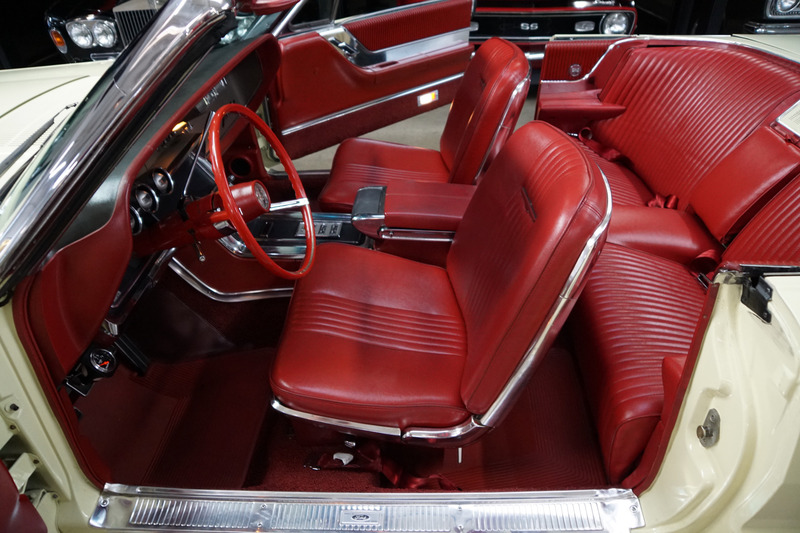 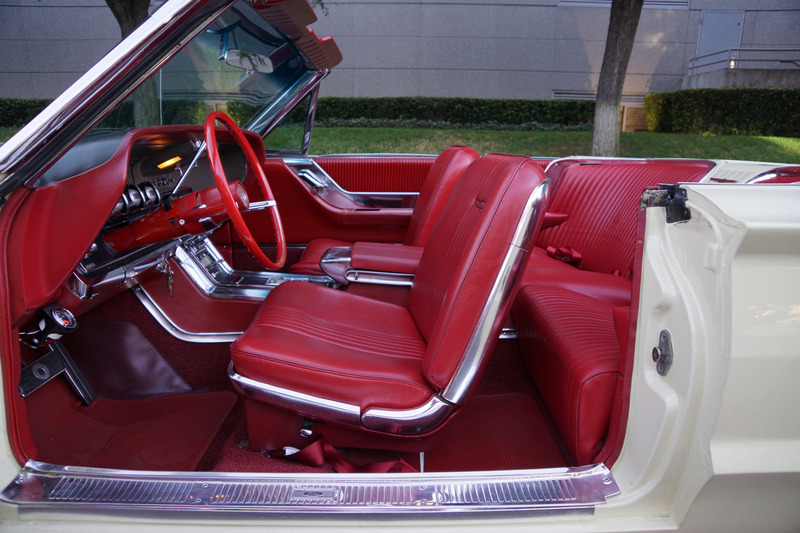 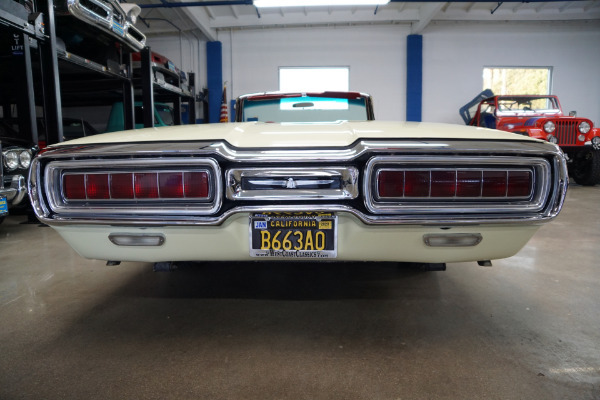 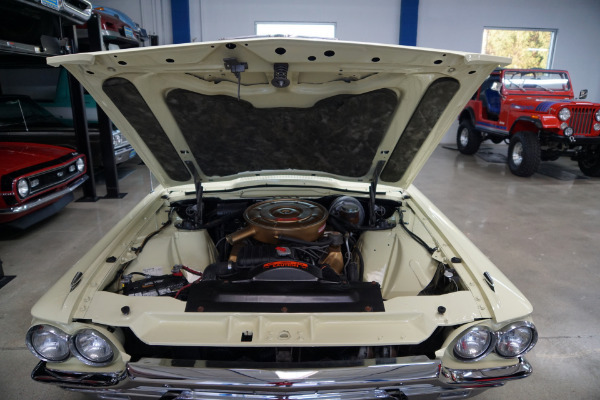 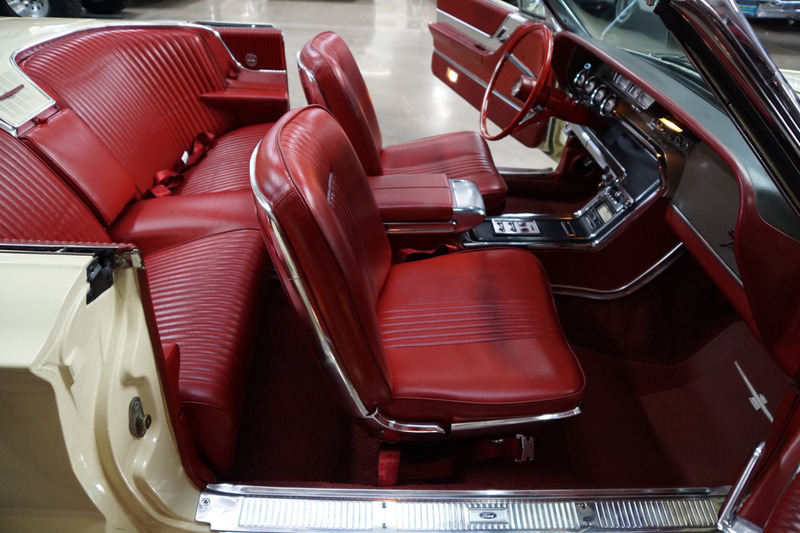 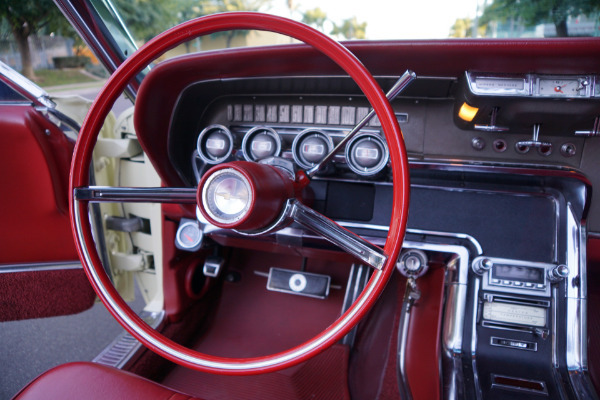 One of only 6,846 models built in 1965 with this particular car built at the San Jose plant in California. 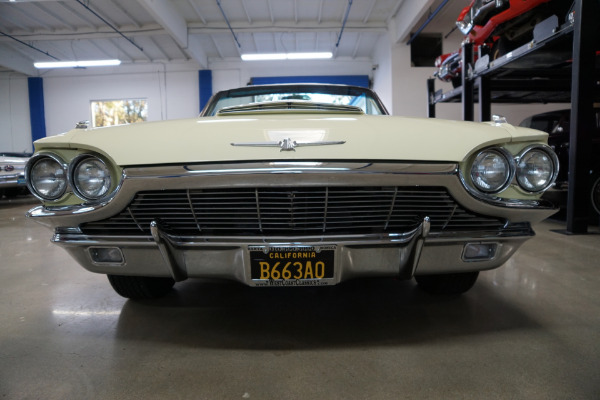 Purchased by it's most recent southern California owner from it's long time southern California owner in 2012 with 50,620 original miles and reportedly always garaged and obviously well maintained with recent comprehensive service history which includes rebuilding both the original engine and transmission and carburetor, rebuild and refill it's original 9" rear end, recondition the radiator, install new axel bearings, all new front & rear suspension and steering components, new brake system components including power booster, all new wiring, rebuild power top motor, install all new dual exhaust system, professional repaint of the car and refoam and cover seats in Red vinyl, new carpet; all this work completed at 50,683 miles with receipts for over $18,073. 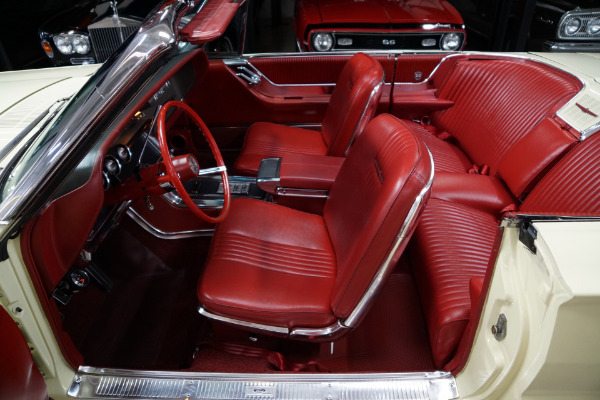 The floor boards, trunk and all the typical rust-prone areas are solid and rust-free and the car has no signs of any accidents - obviously a garaged and cherished driver only. 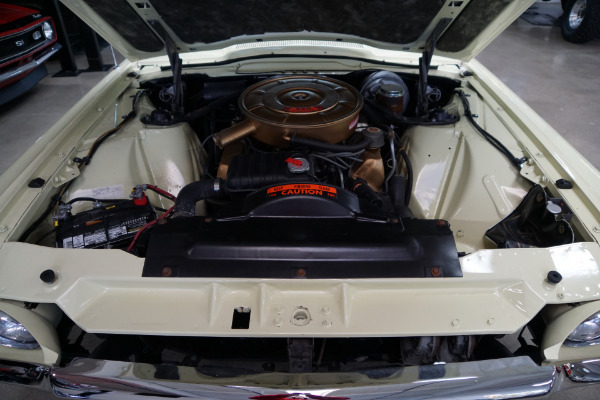 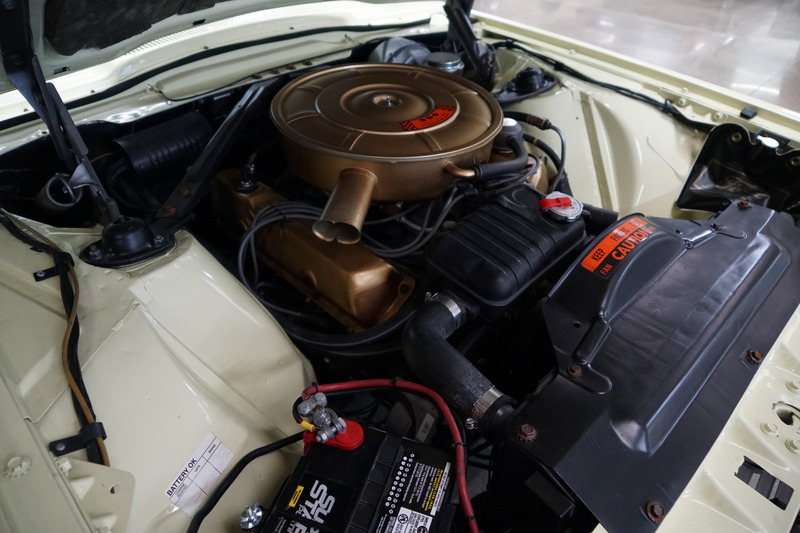 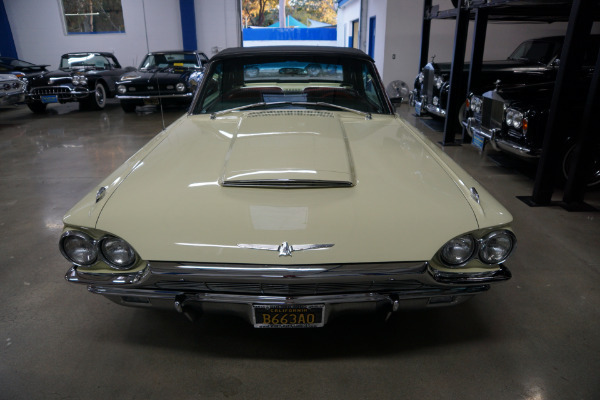 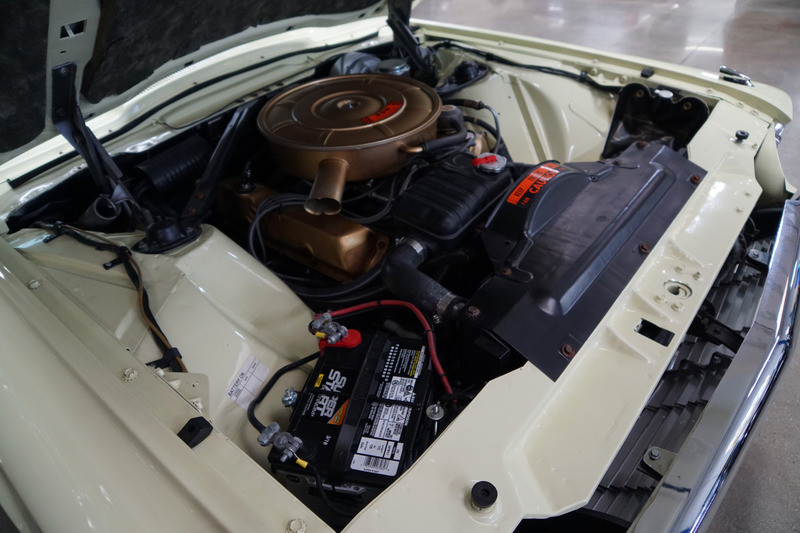 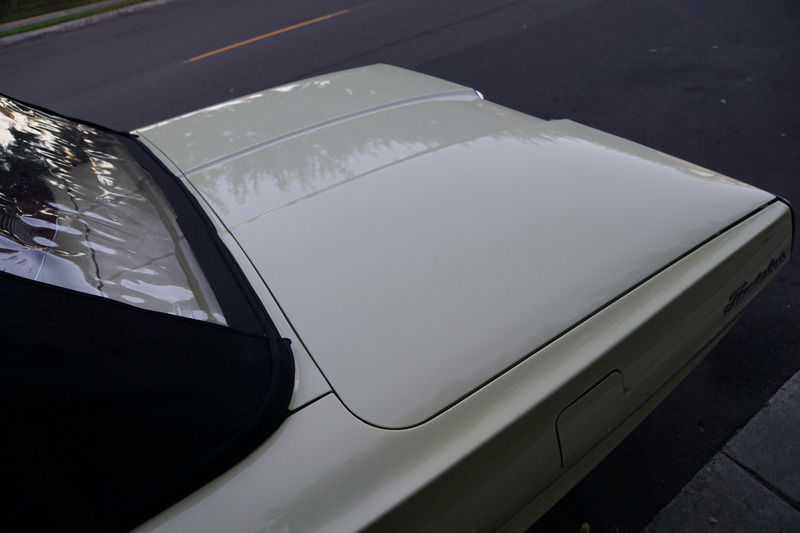 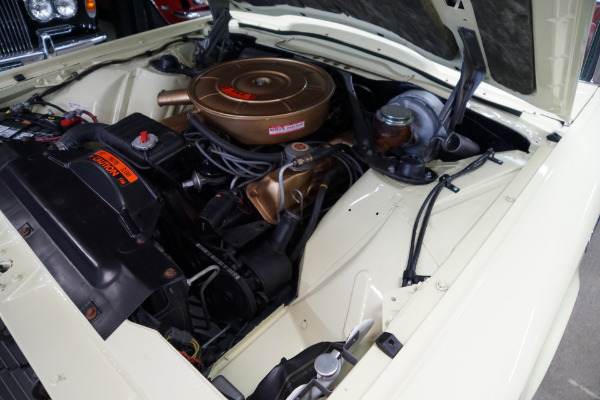 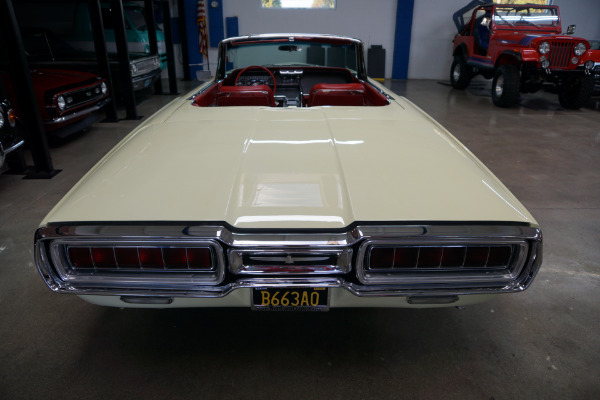 As described the car has a beautiful original factory color 'Pastel Yellow' repaint with a new Red vinyl interior with bucket seats and center console and a new black power vinyl soft top. 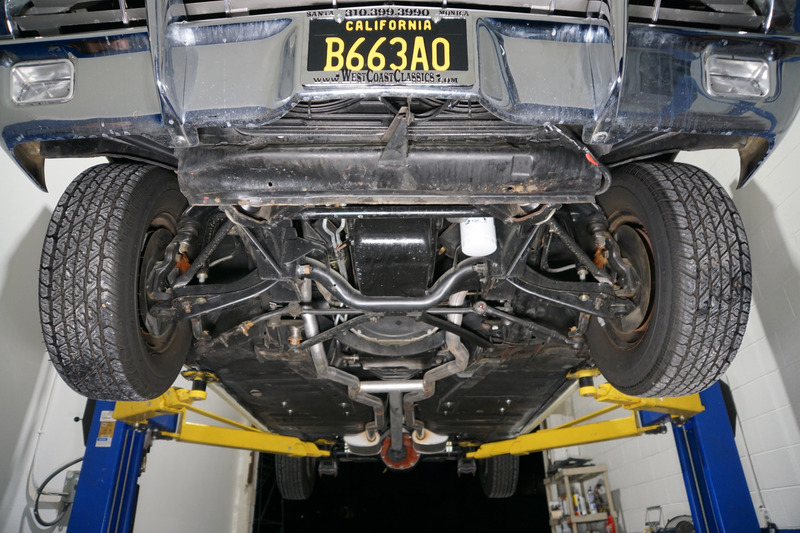 As previously described at no time has any expense been spared in this particular car's preventive maintencance with all major and indeed most minor components having already been thoroughly and professionally overhauled in recent years at the 'Gearhead Garage', renown independent classic American car specialists of Sacramento, California with thousands and thousands of dollars in receipts. 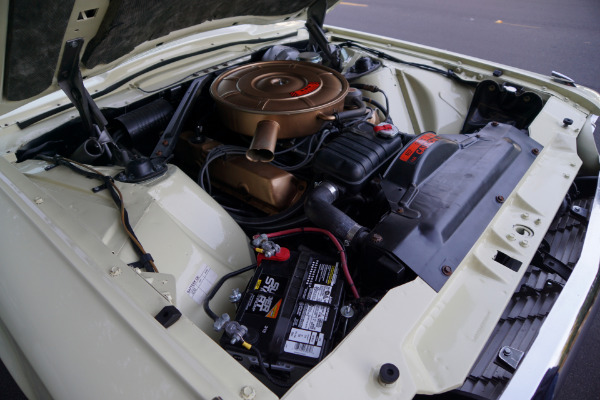 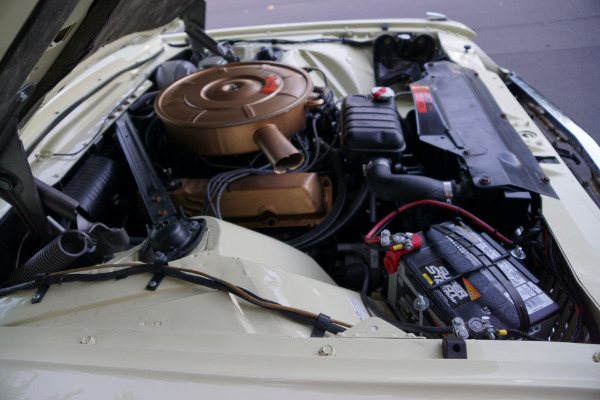 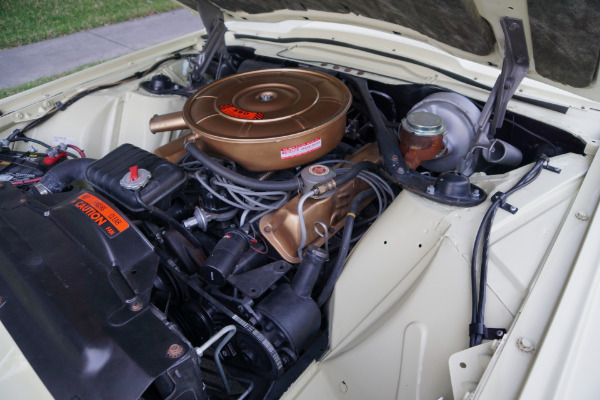 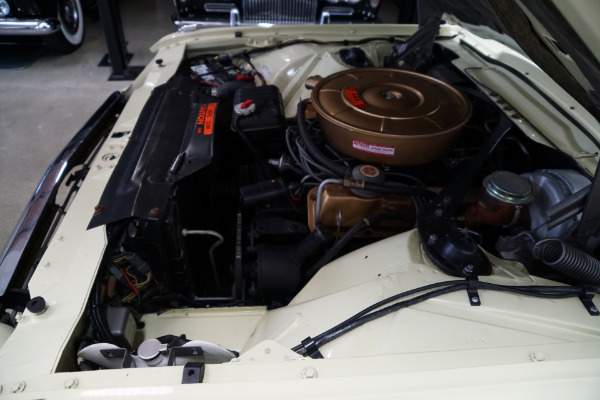 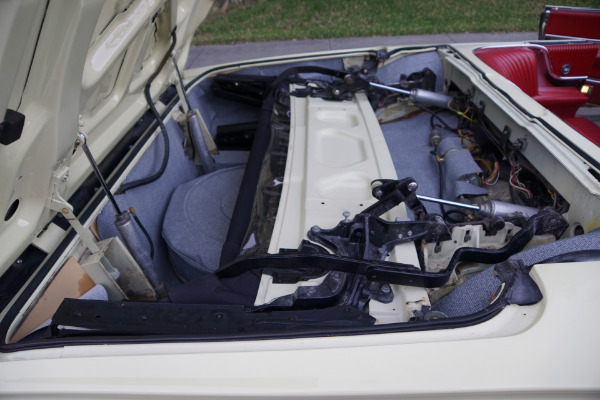 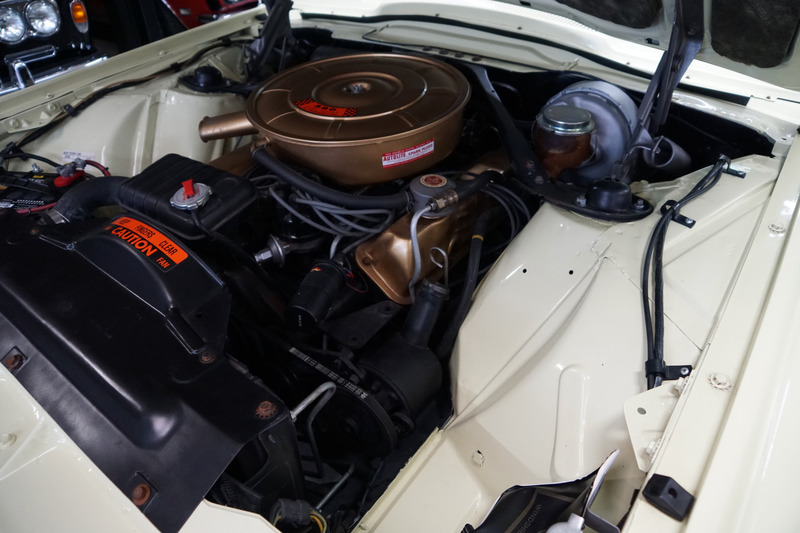 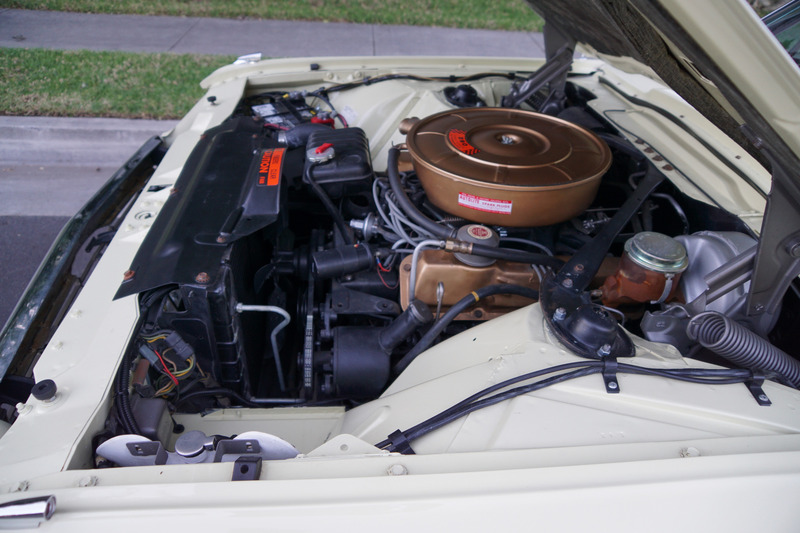 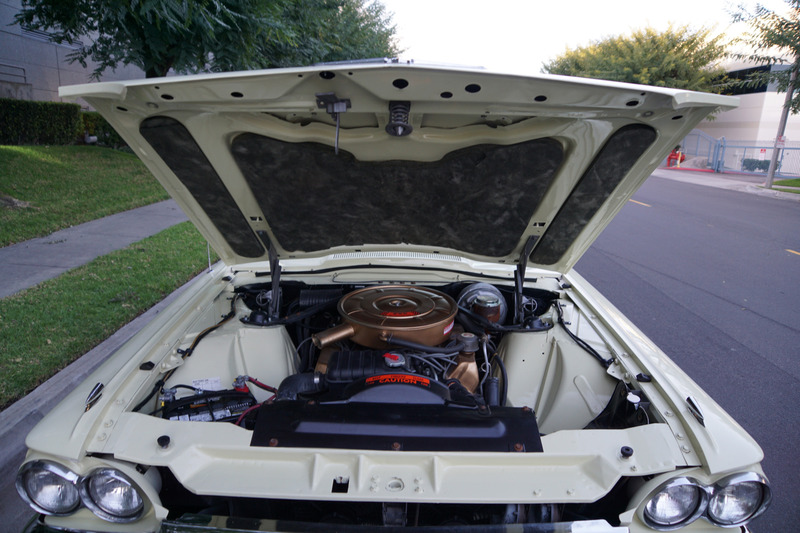 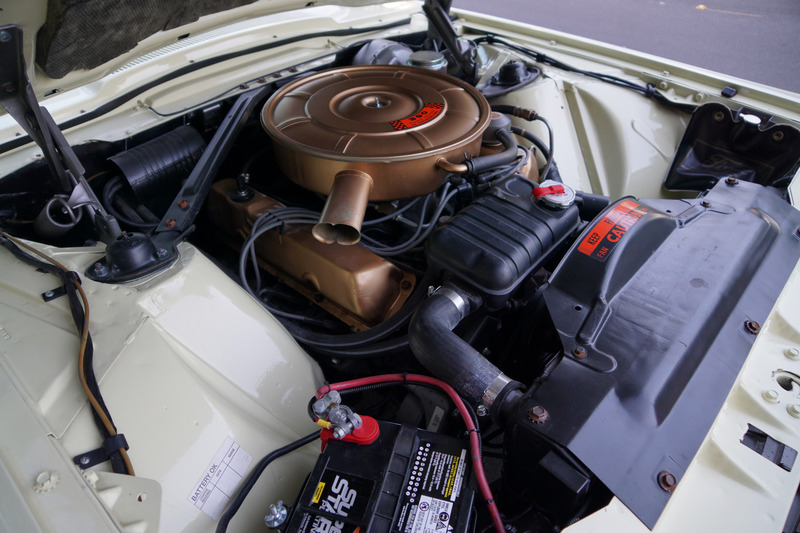 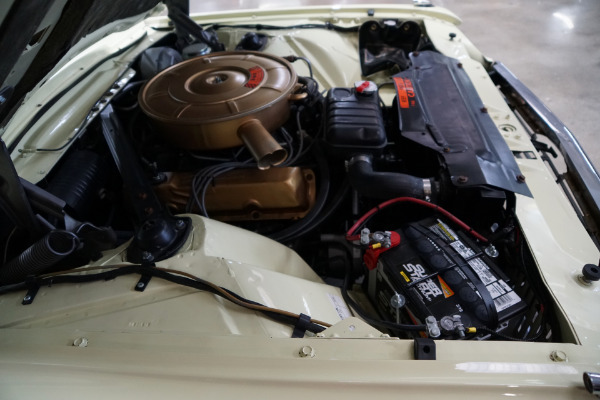 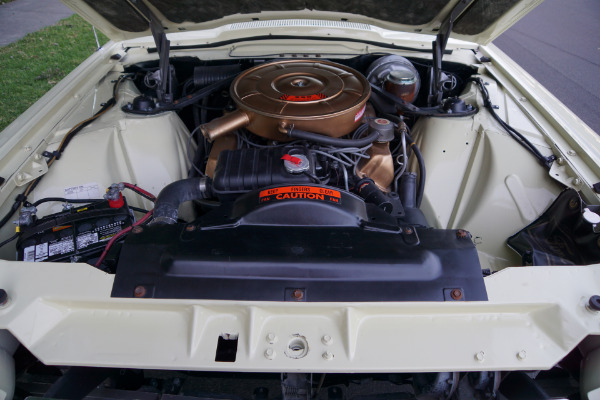 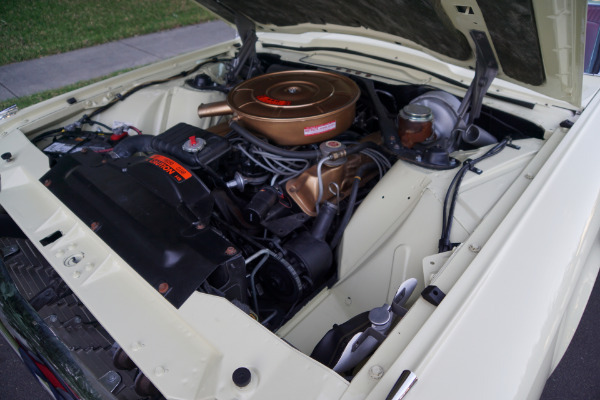 The car's original 'Z' Code 390/315HP 4 BBL V8 engine was removed and rebuilt and is extremely strong and powerful and sounds absolutely magnificent. 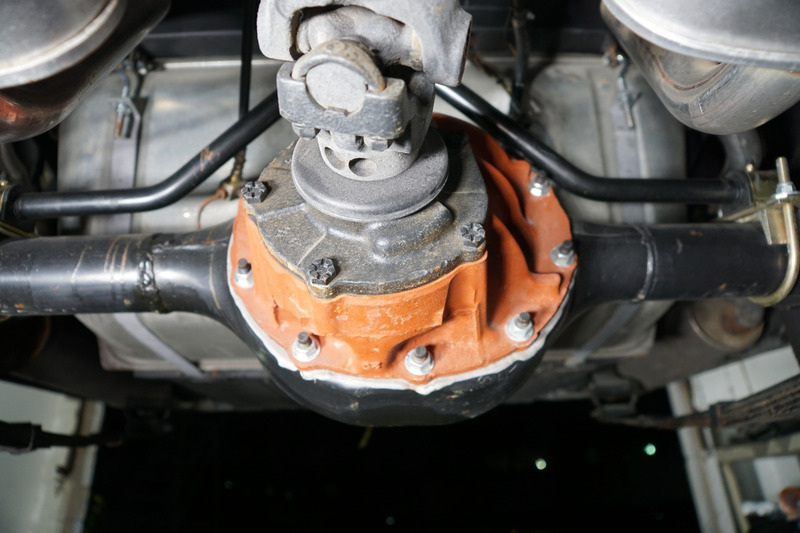 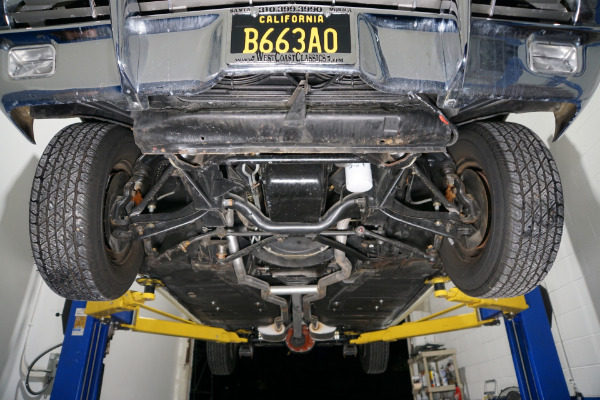 The transmission was removed and rebuilt along with the carburetor at the same time. The drive train and differential were also rebuilt. 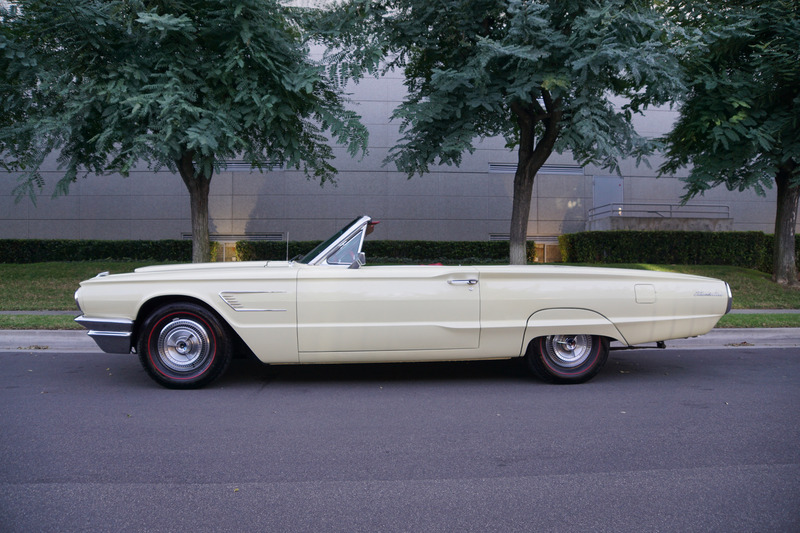 This car therefore not surprisingly drives absolutely magnificently - must be driven to be believed - does not miss a beat and purrs like a kitten - drives straight as an arrow with no strange road wobbles, shakes or rattles - a truly remarkable daily driver that will give any modern day car a run for it's money! We have yet to enjoy driving many other classic car as much as we have this particular car and you will note that it is quite unusual for us to make such a statement! 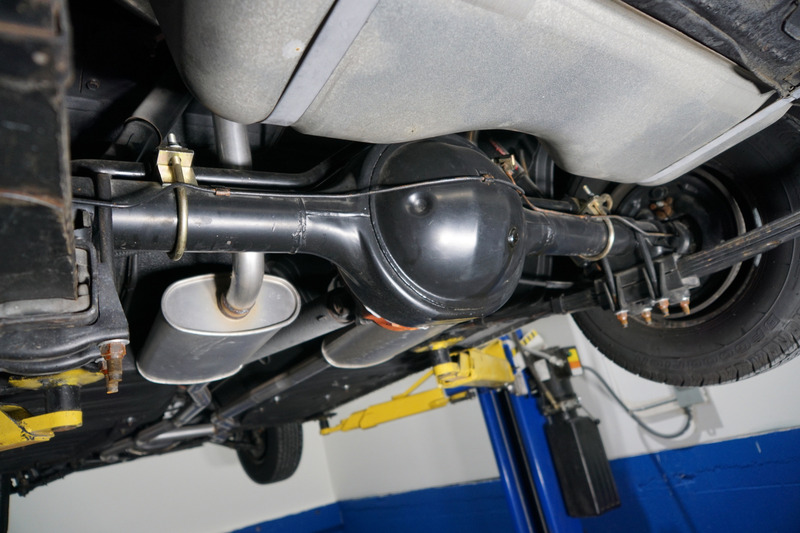 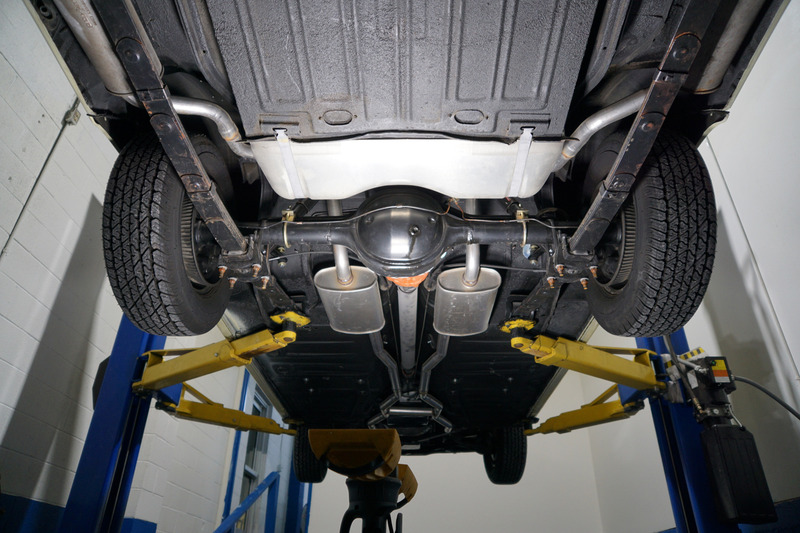 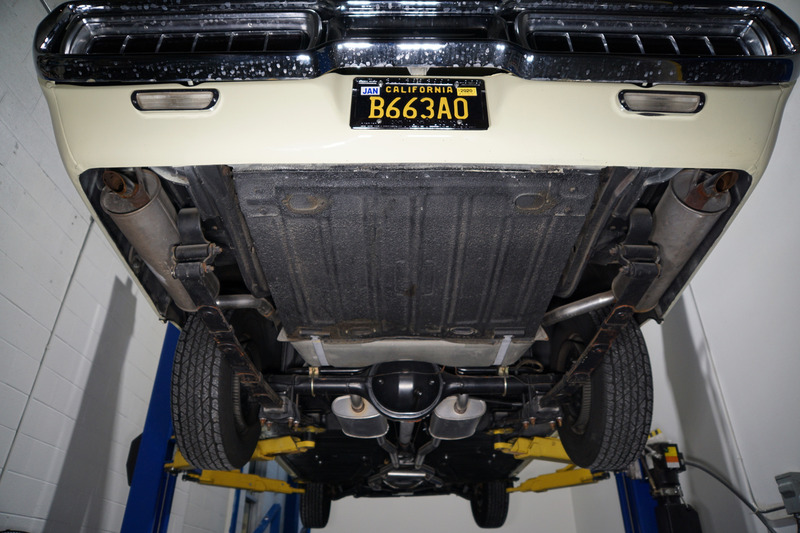 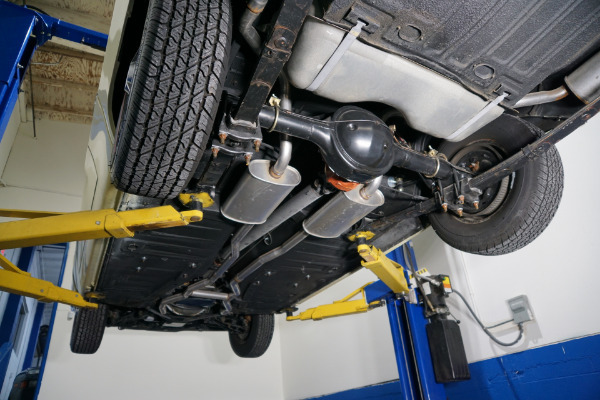 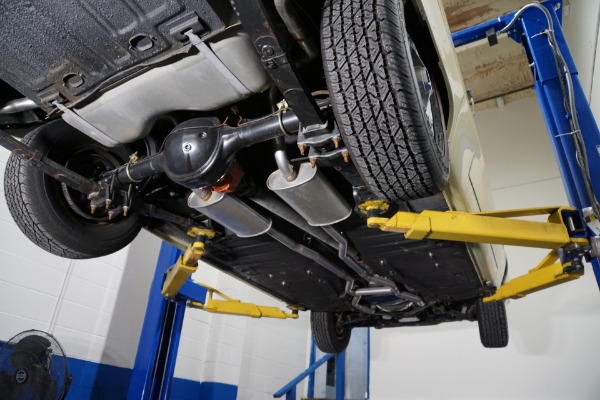 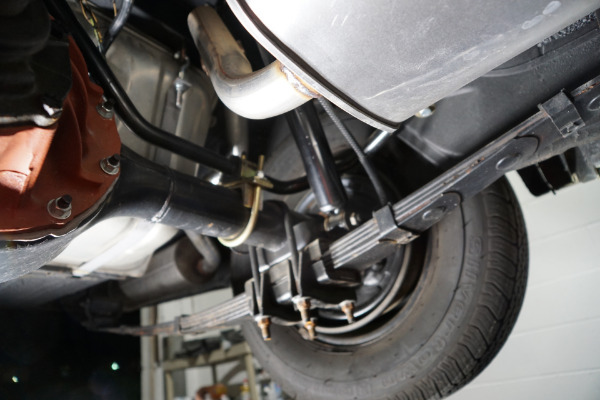 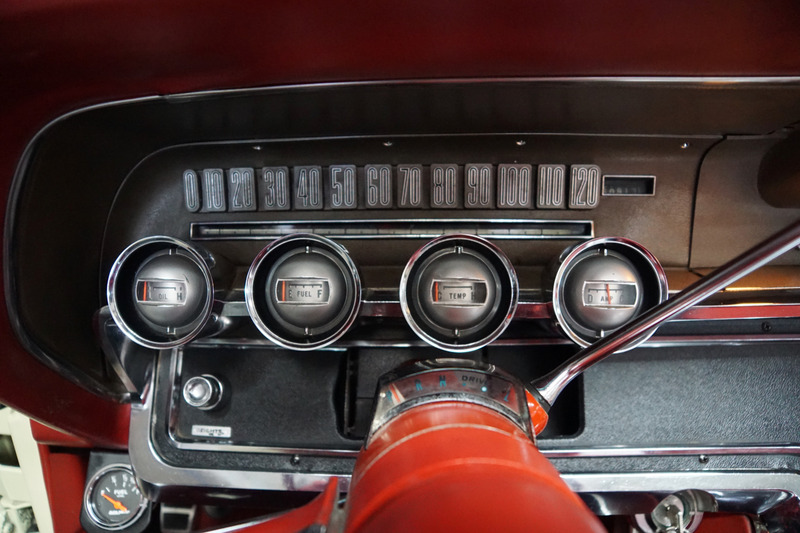 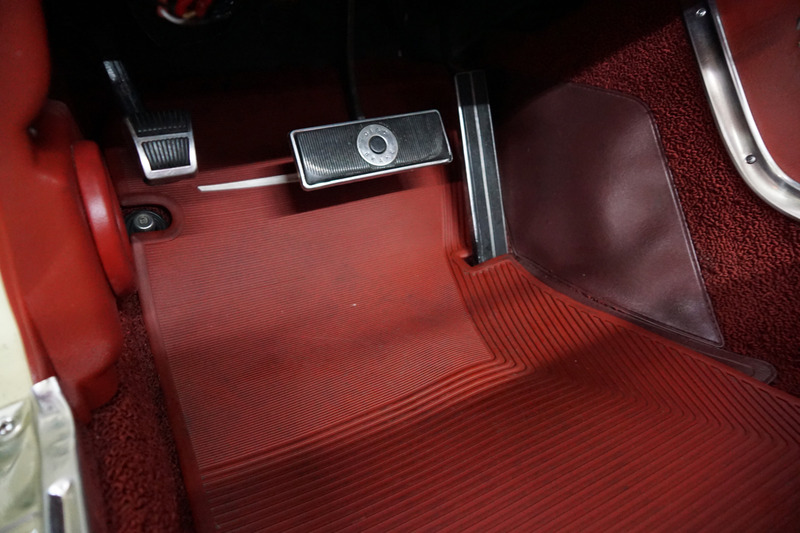 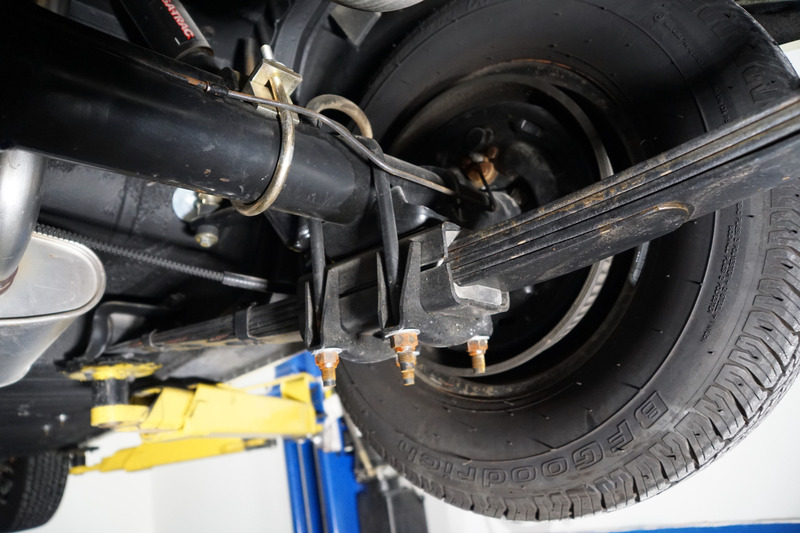 The transmission shifts smoothly through the gears and the car has four new red-line tires! 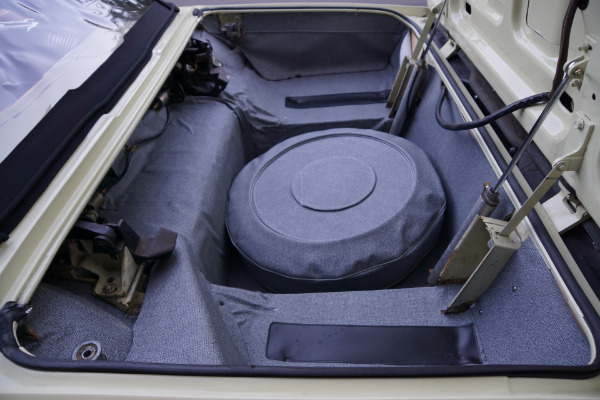 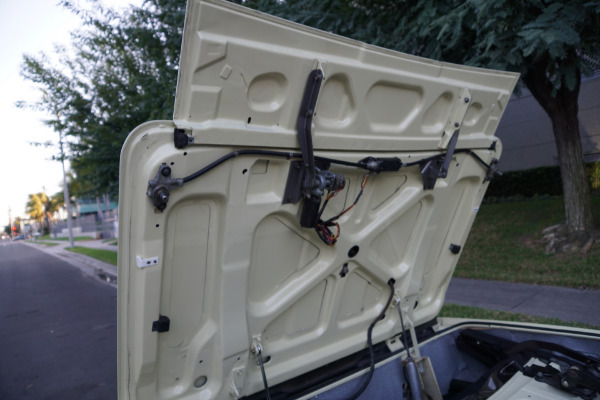 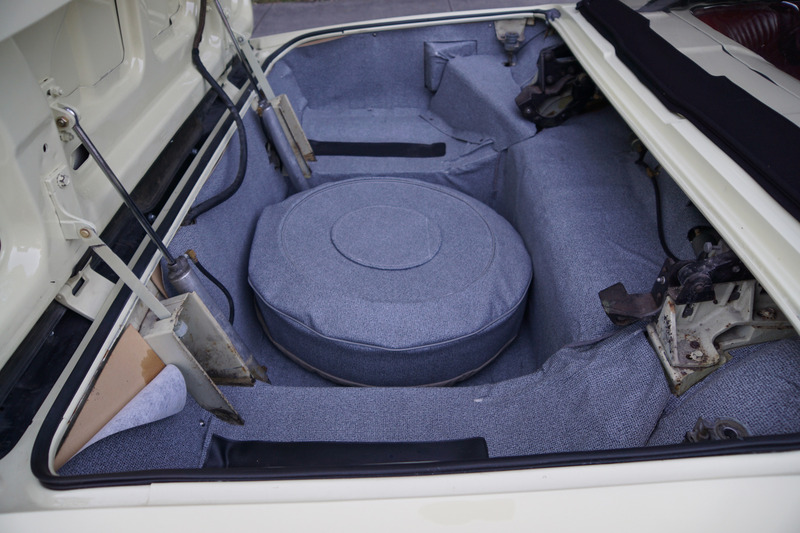 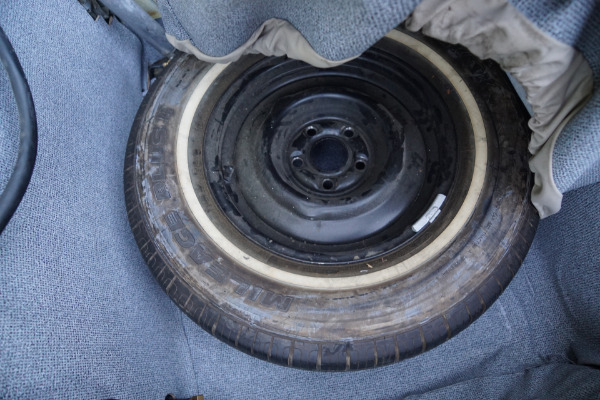 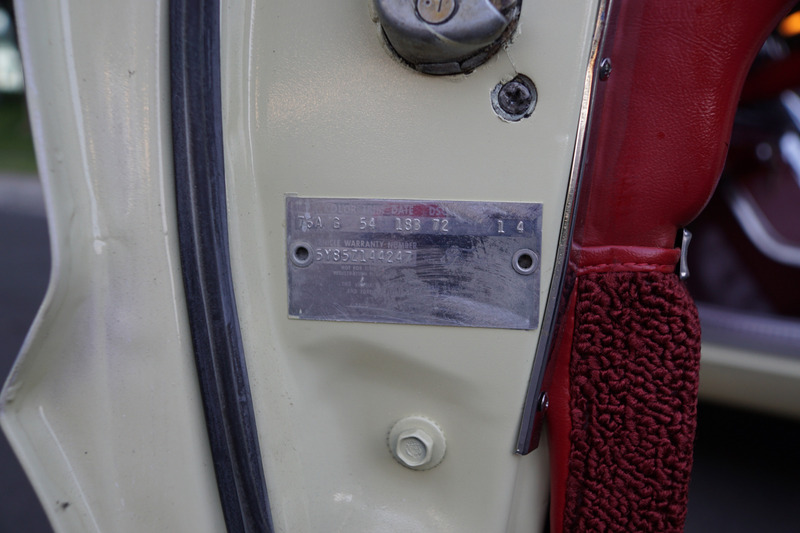 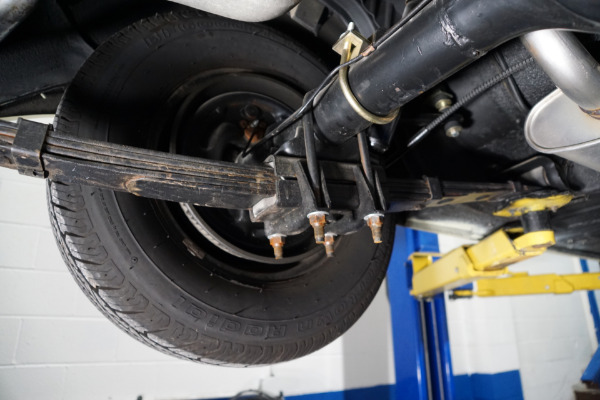 Please note that the car also boasts its original spare wheel and jack in the trunk, an extremely rare and unusual occurrence as you will no doubt agree, and simply further proof of its rare originality! 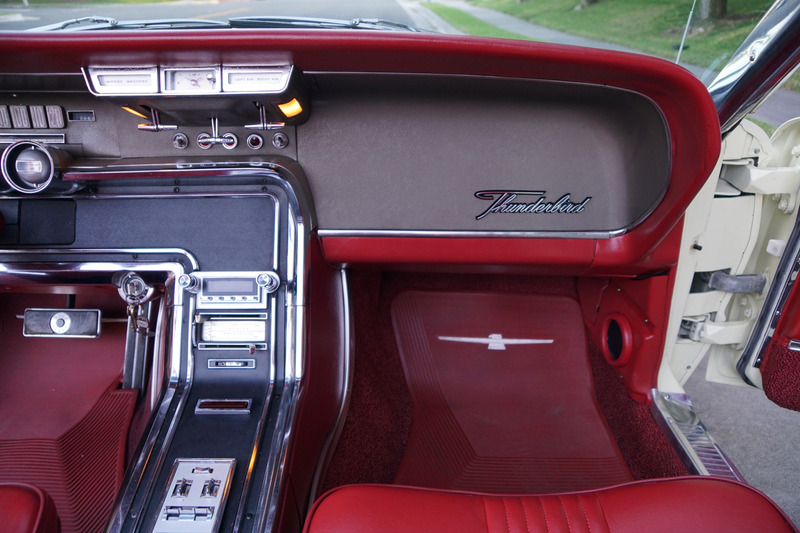 The Ford Thunderbird was introduced in 1955 as a two seater sports convertible to rival Chevrolet's Corvette although it was never marketed as a sports car! 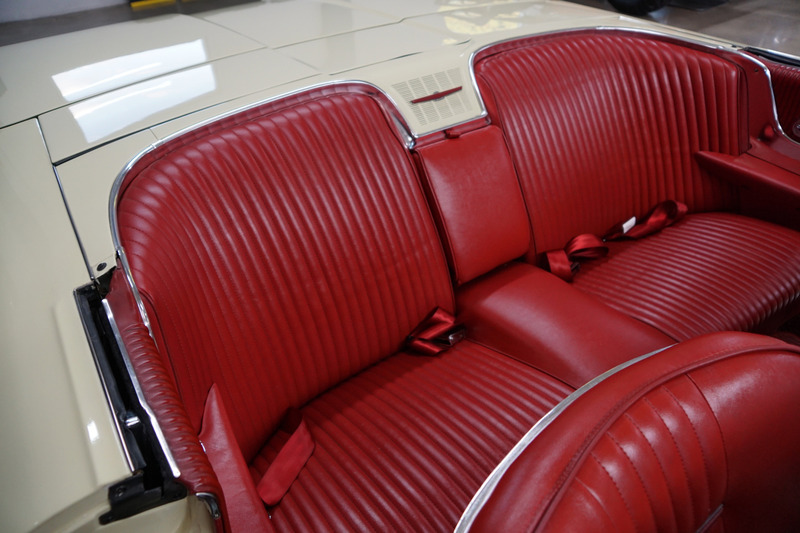 In 1958 it gained a second row of seats. 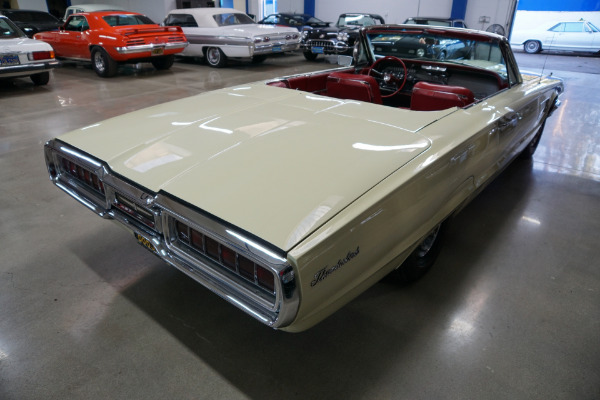 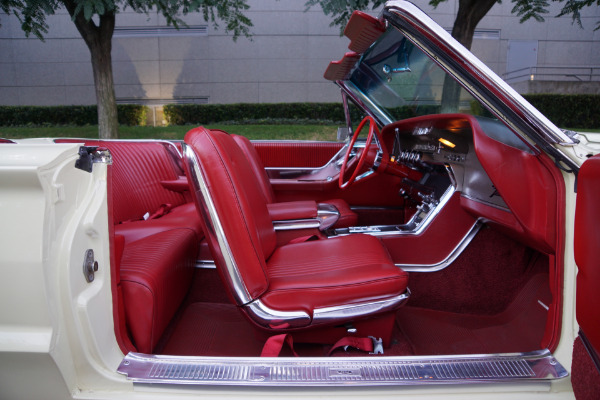 The fourth generation (1964-66) was restyled from the third generation of 1961-63 with a more squared off design from the earlier more rounded generation and continued to be offered in Hardtop, Landau and Convertible models. 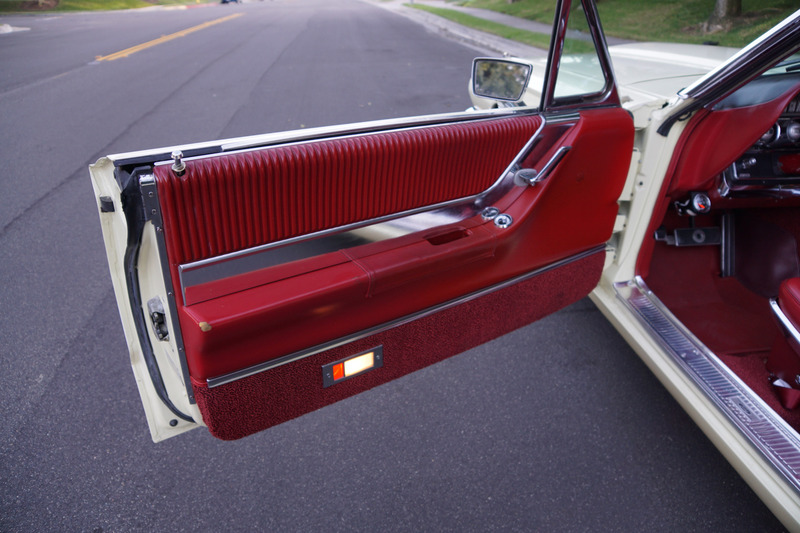 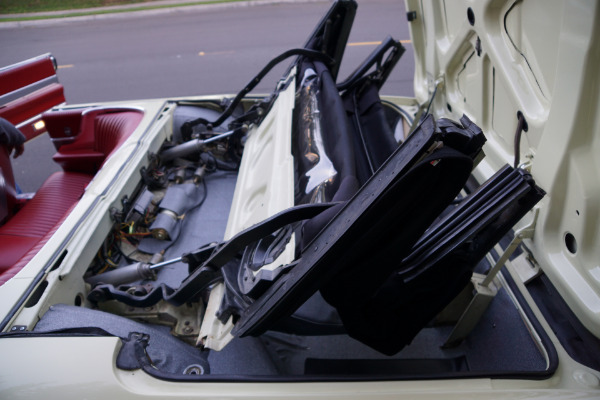 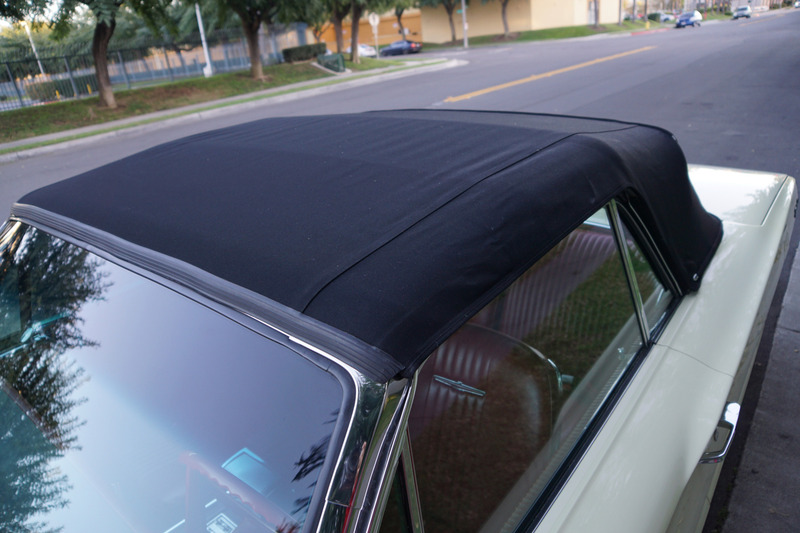 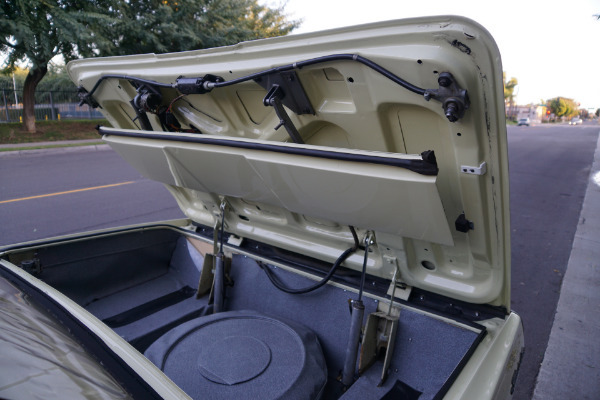 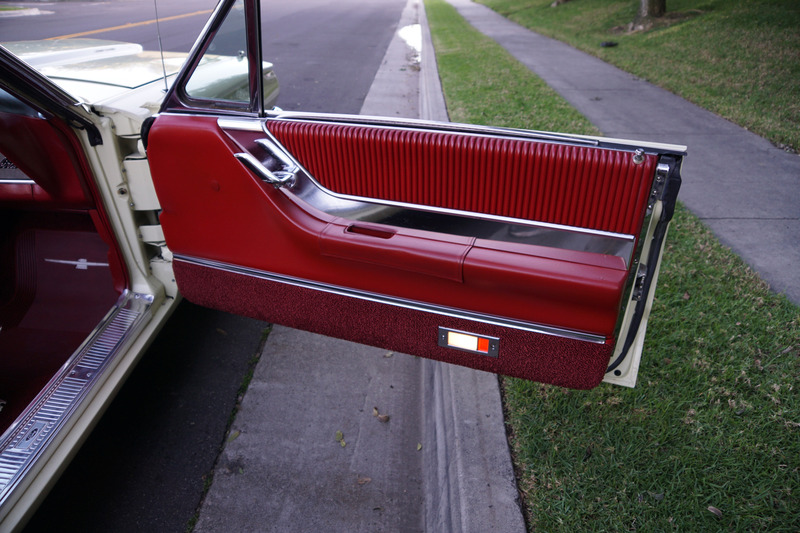 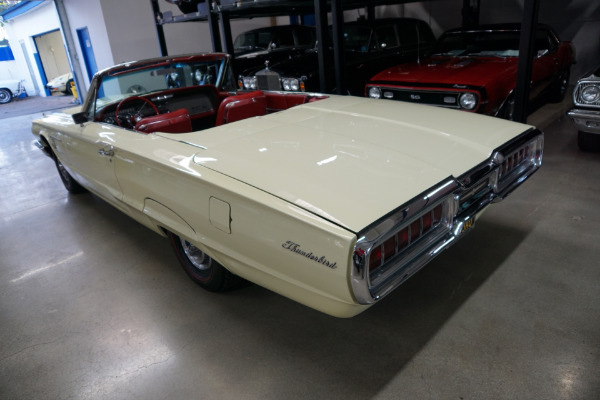 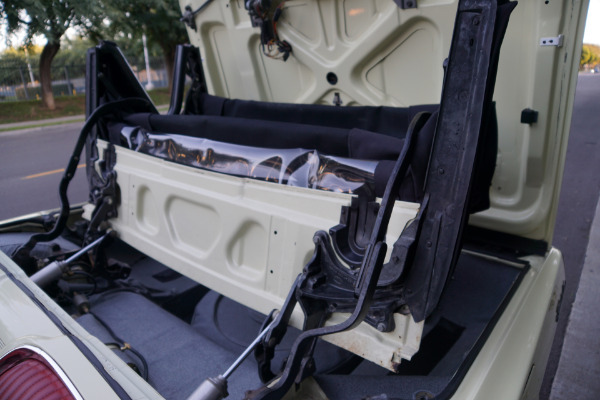 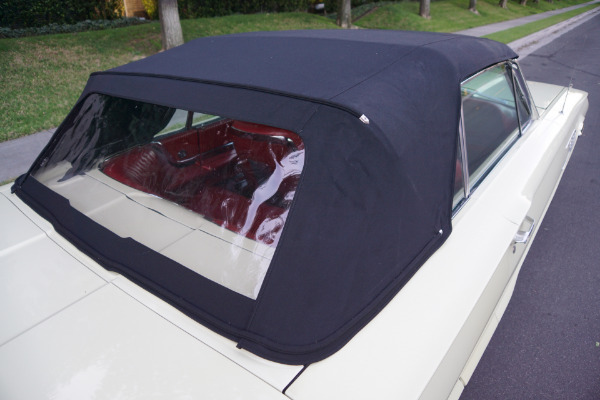 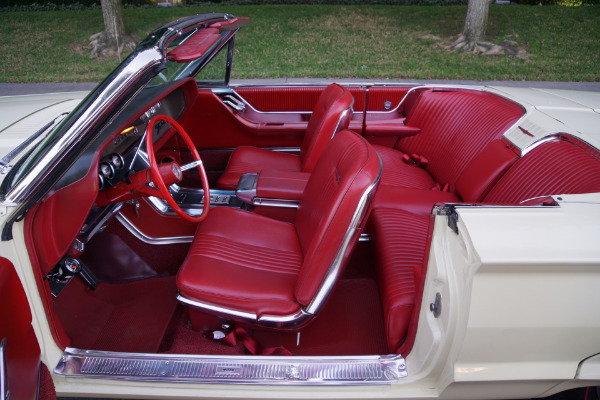 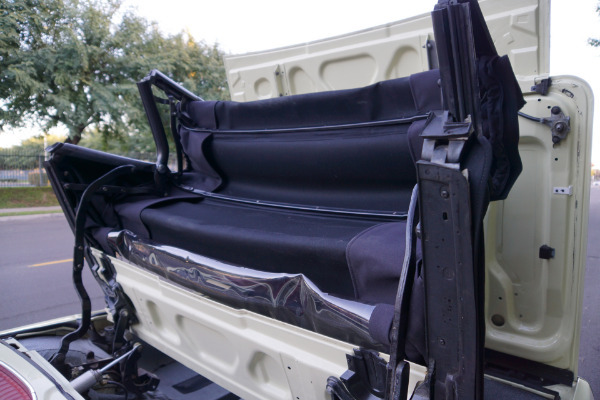 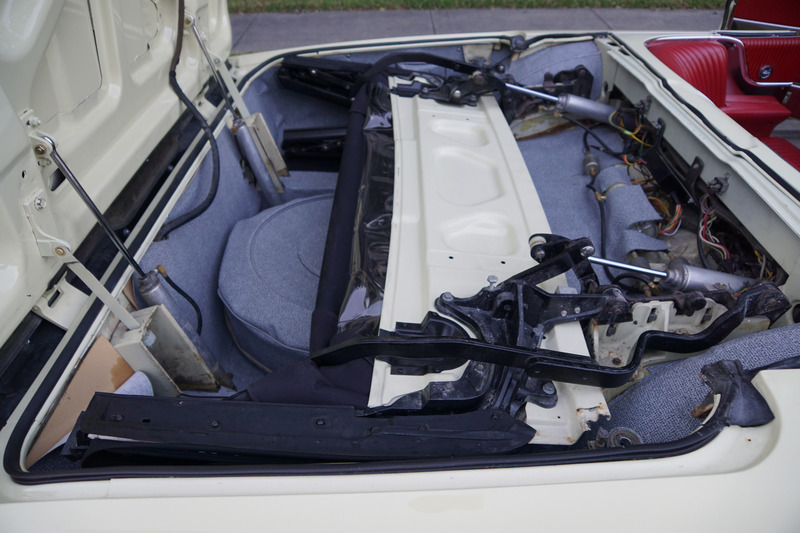 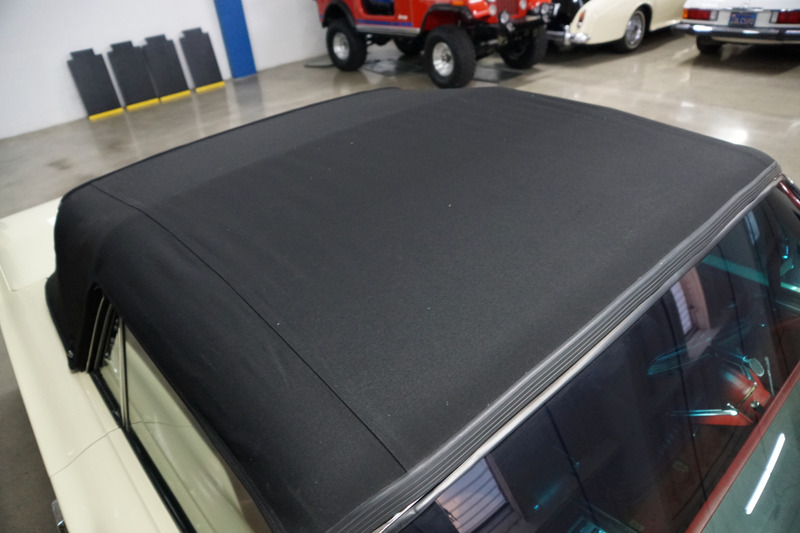 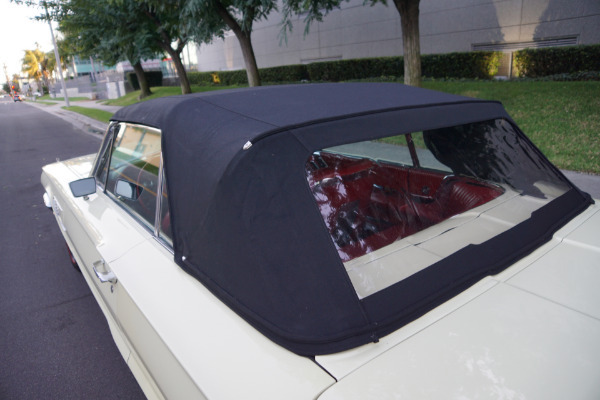 The handsome sports roadster did not return but in 1964, a dealer installed roadster inspired fiberglass tonneau cover was introduced to revive two seat memories for the enthusiasts and proved a popular option, although it is rare to find today. 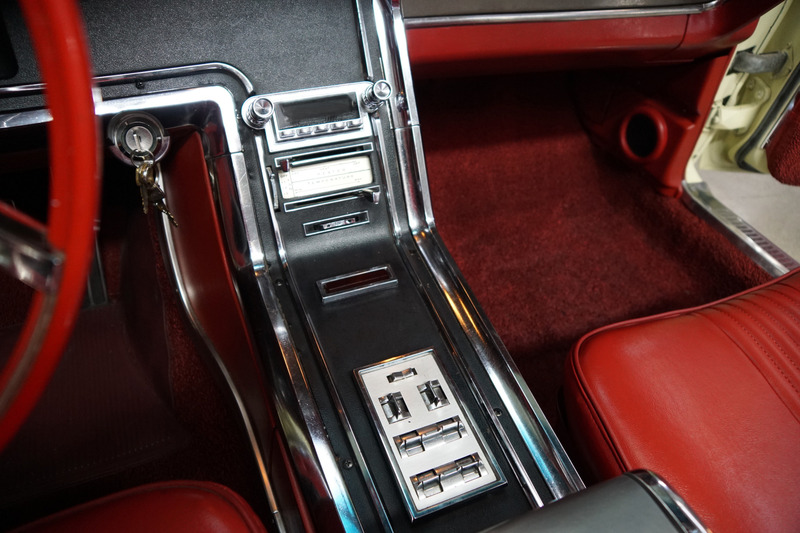 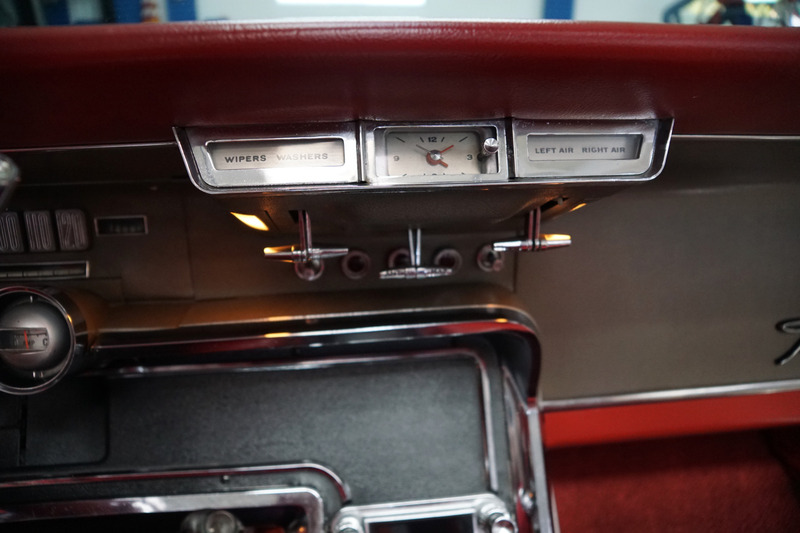 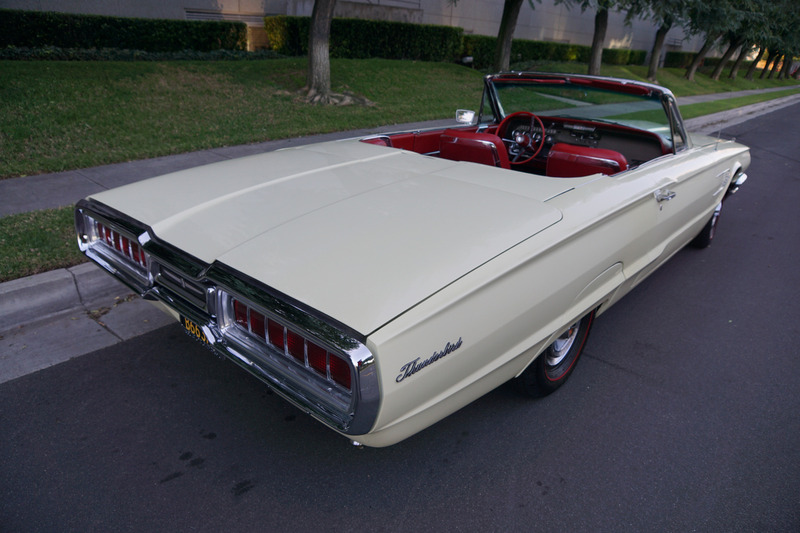 The wheelbase and length were increased in size and in 1965 front disc brakes became standard. 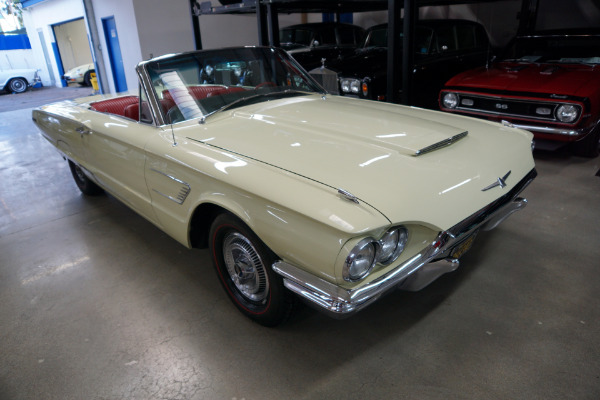 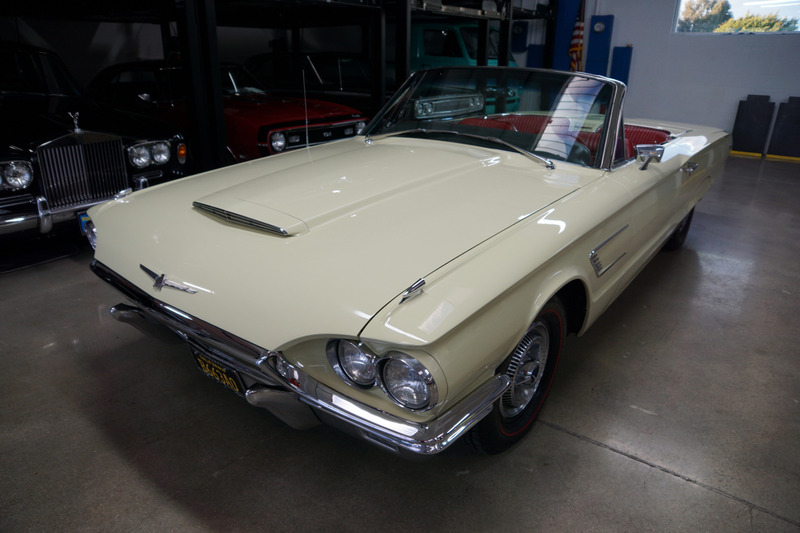 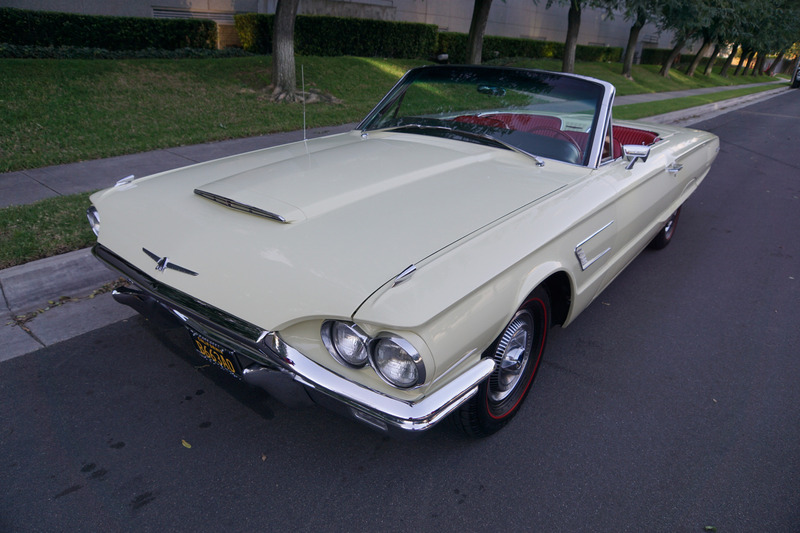 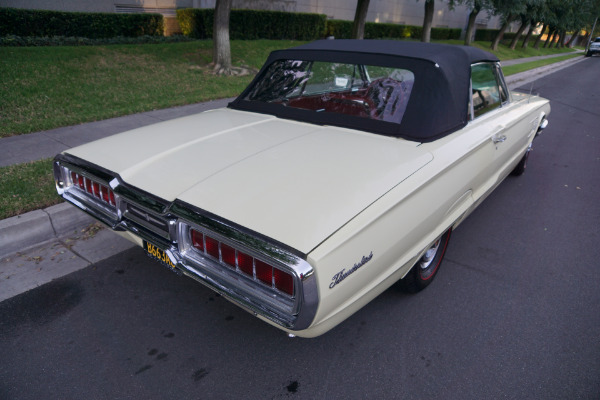 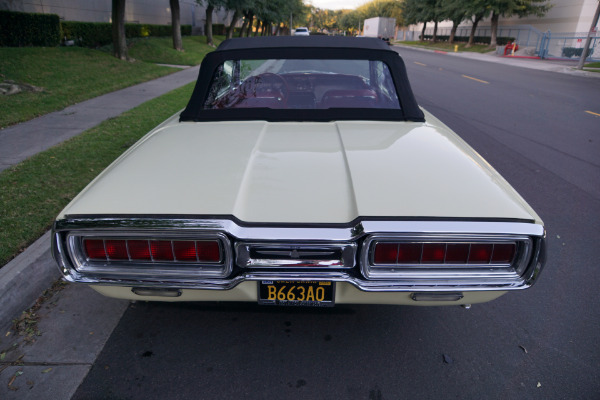 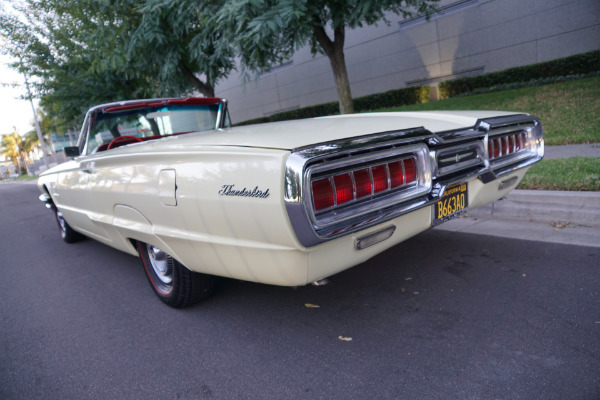 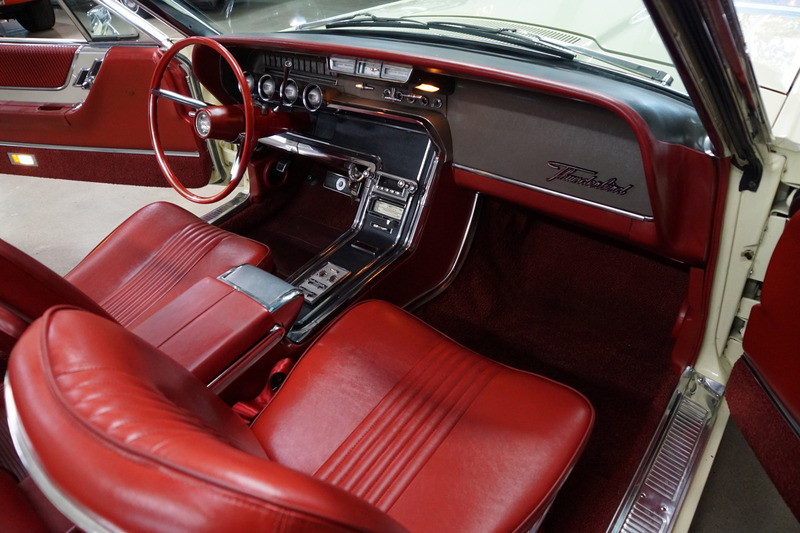 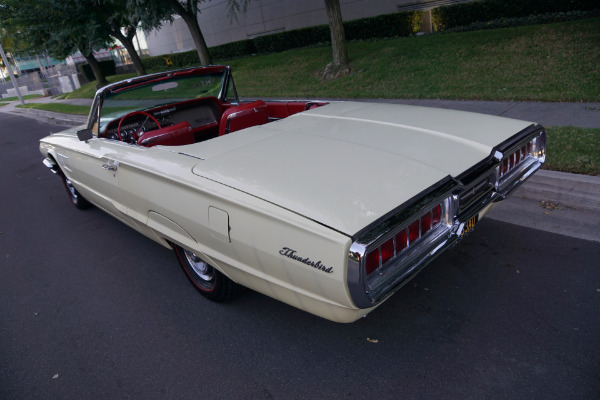 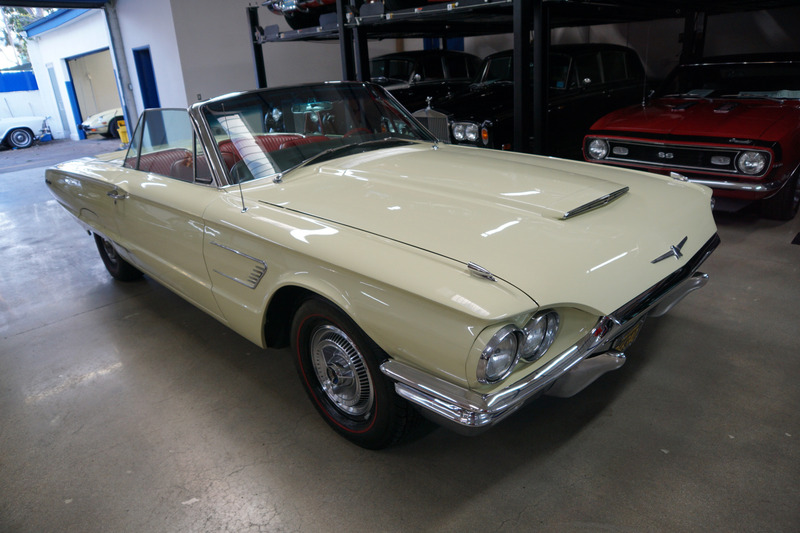 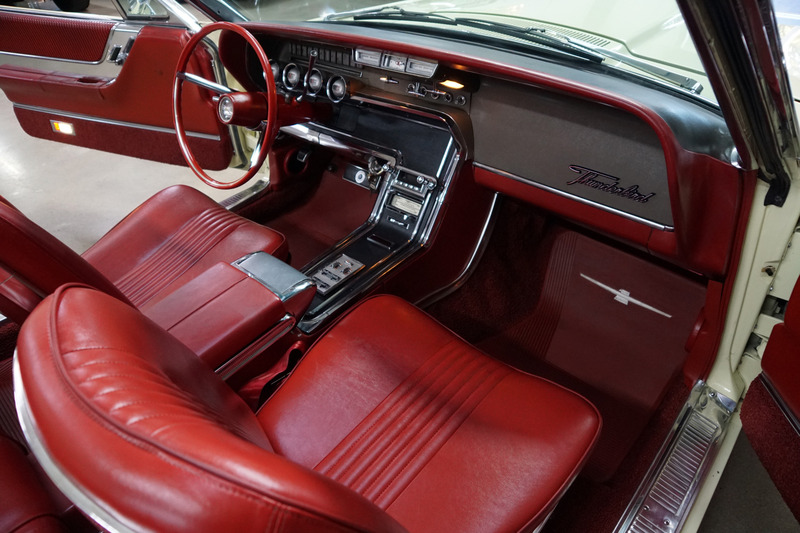 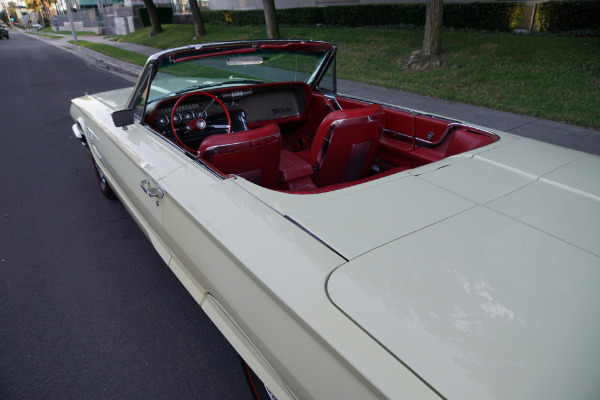 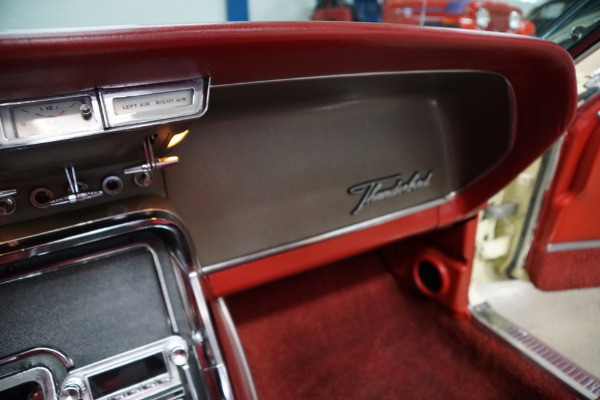 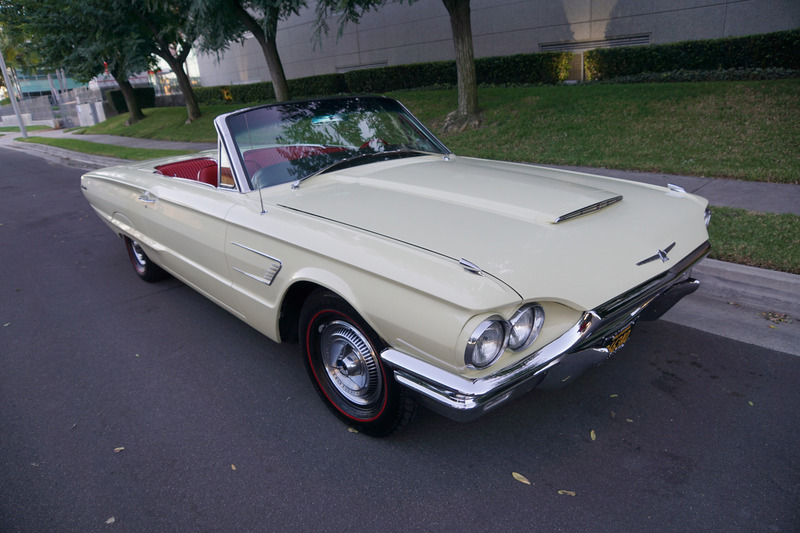 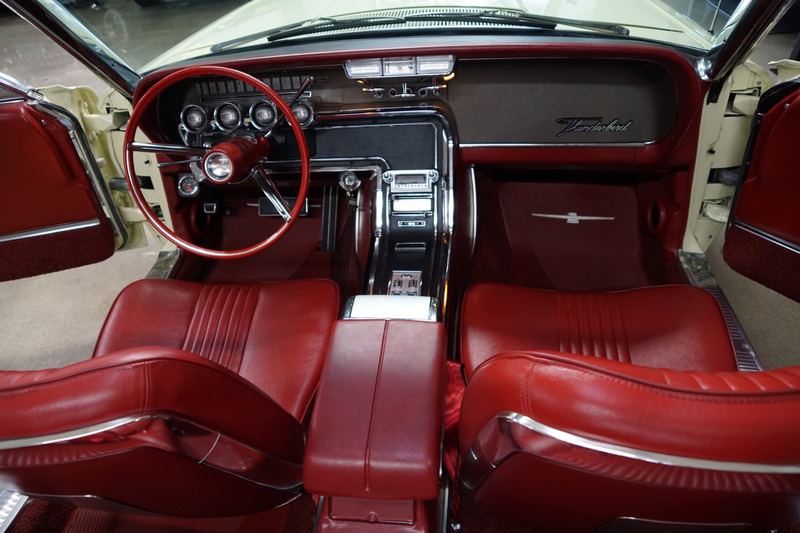 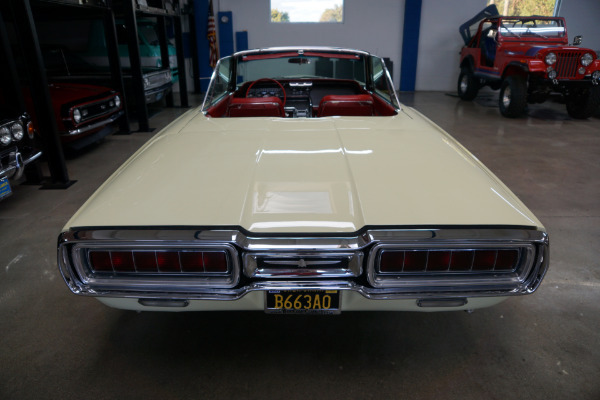 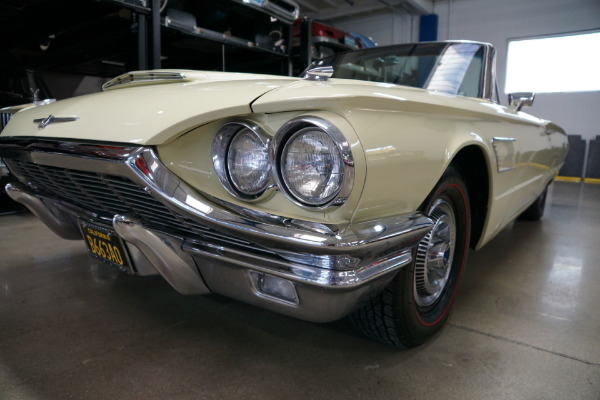 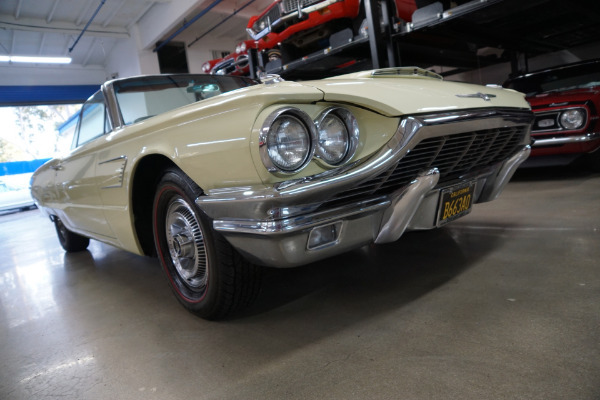 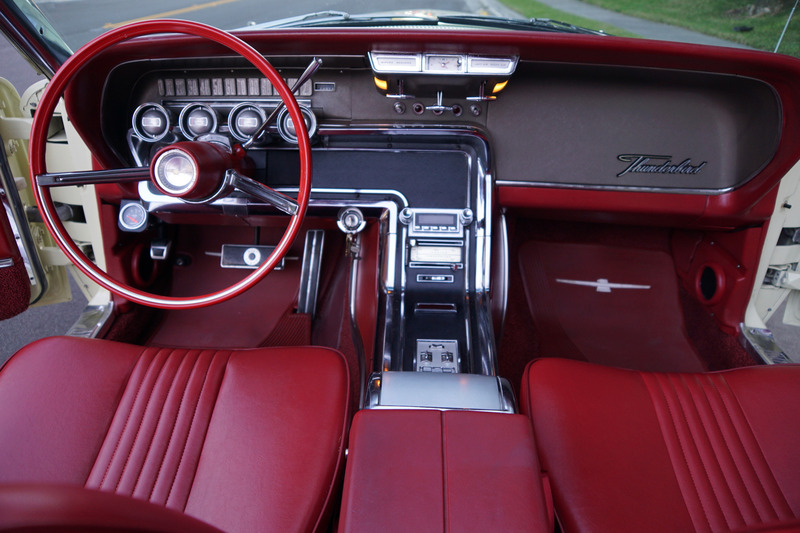 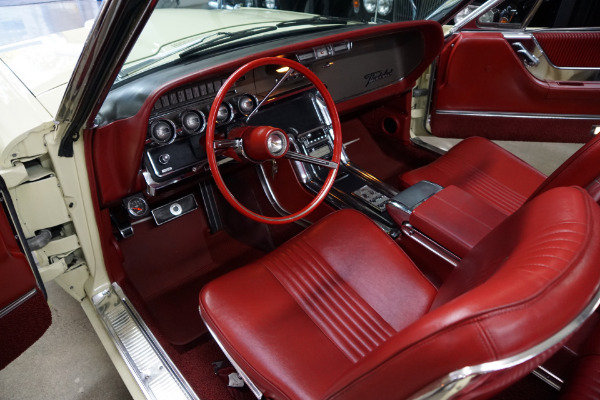 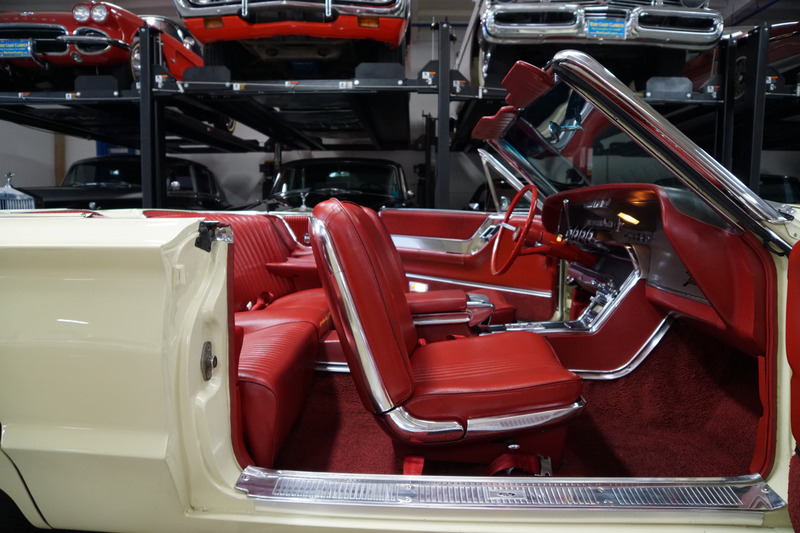 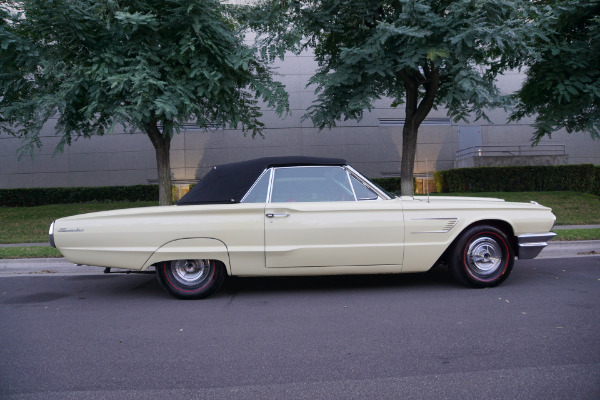 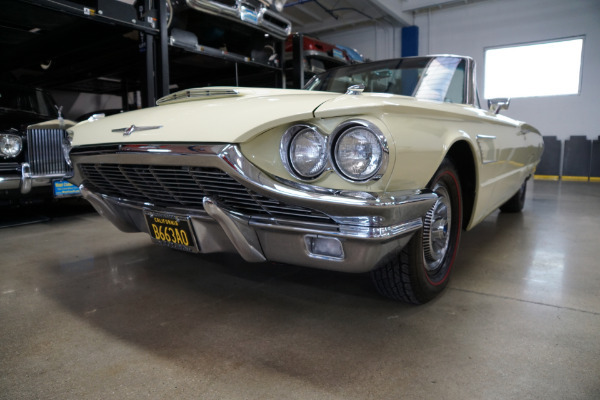 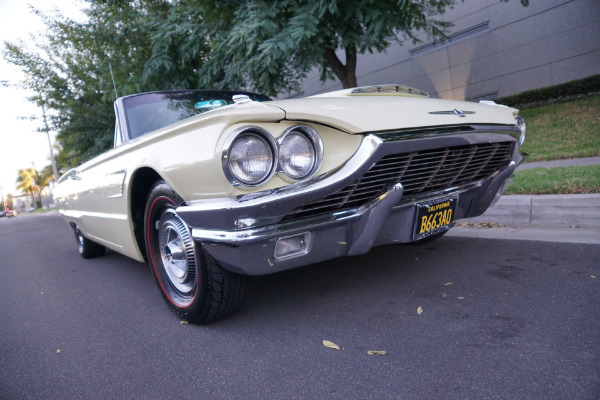 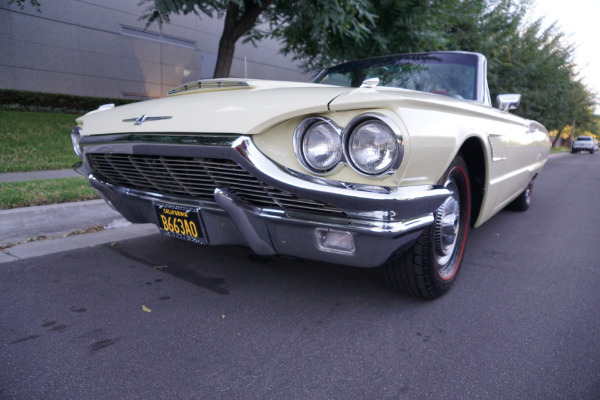 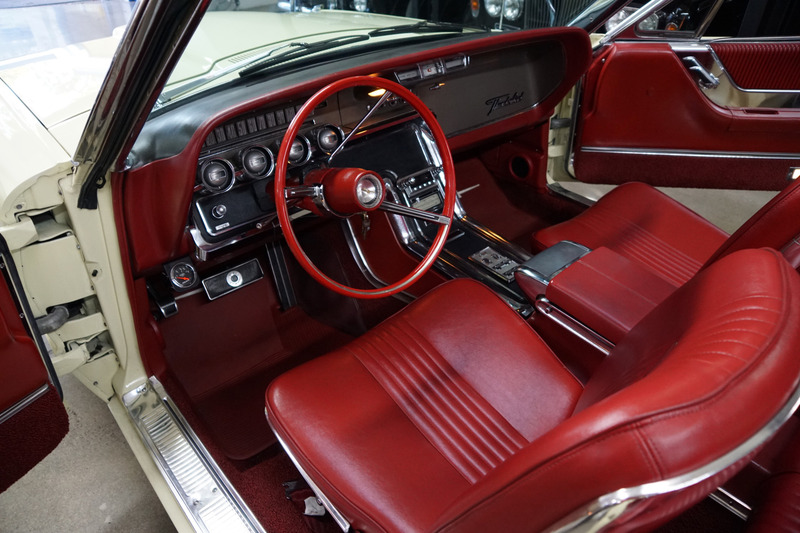 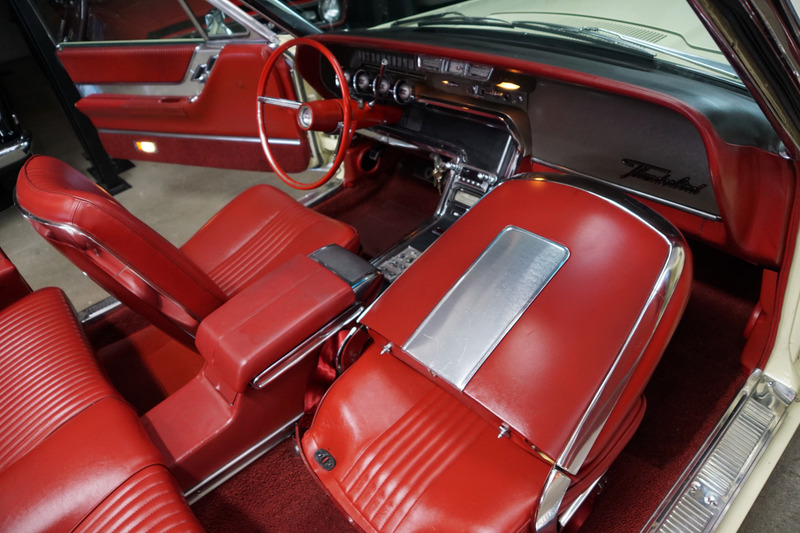 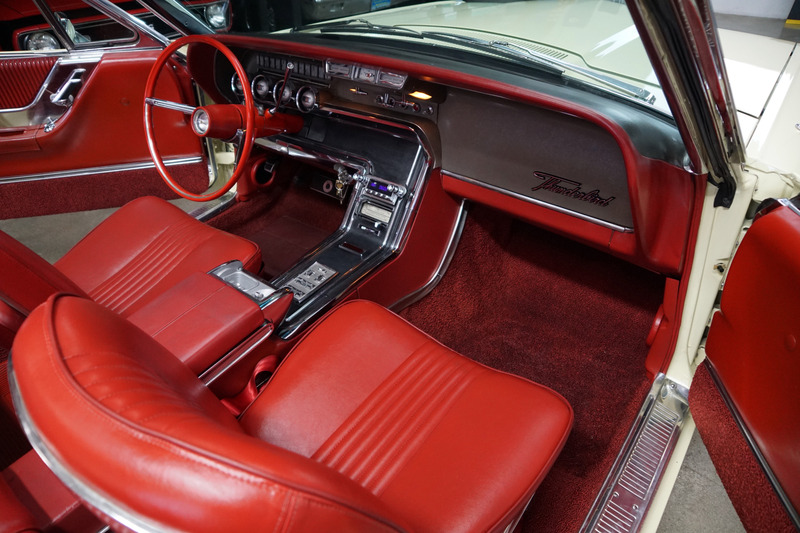 This is a wonderful opportunity to purchase an already restored and finished 1965 Ford Thunderbird convertible with only 50K original miles and only two California owners since new for the enthusiast to enjoy today or simply a great daily driving and very striking turn-key ready example of the penultimate year of the 4th generation T-Bird for any classic American car collector!